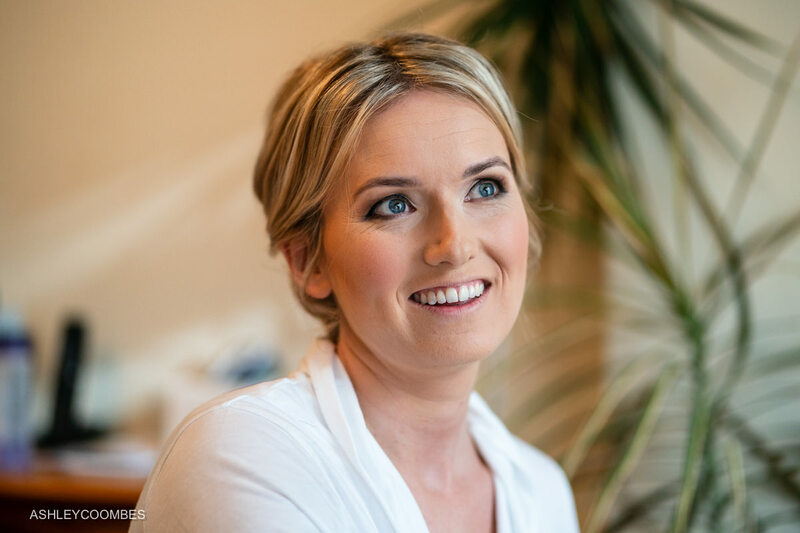 Looking for my Corporate Photography? 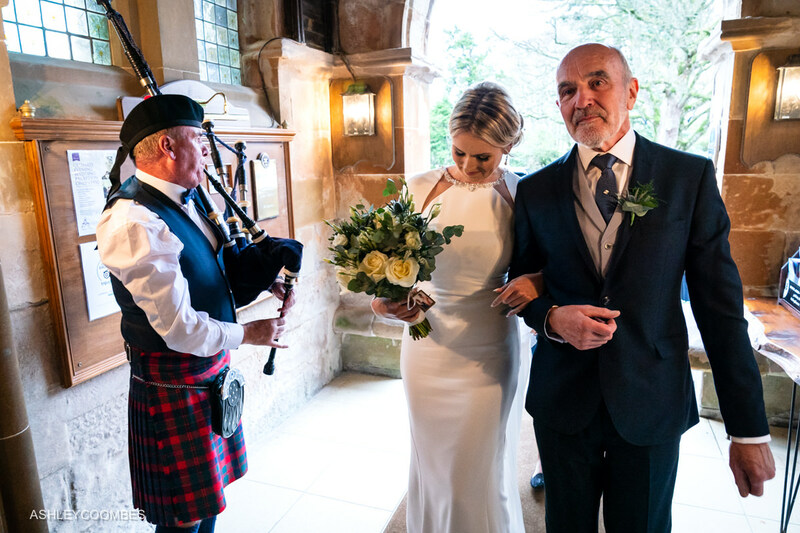 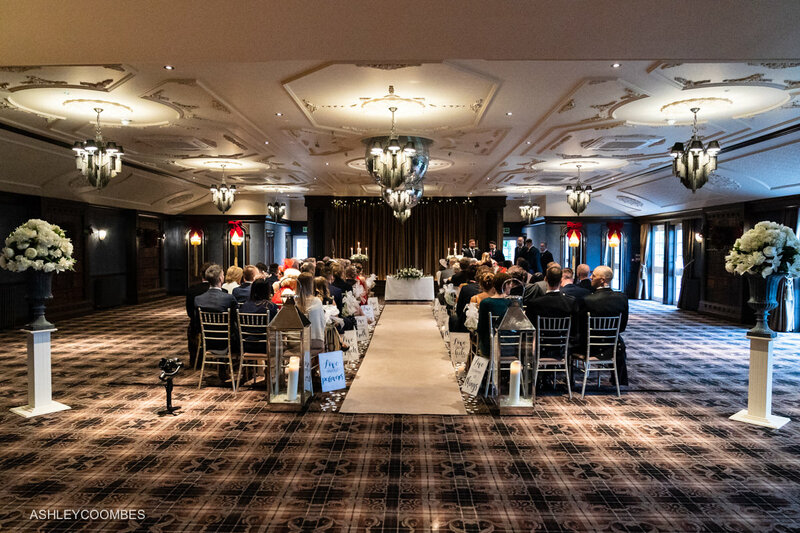 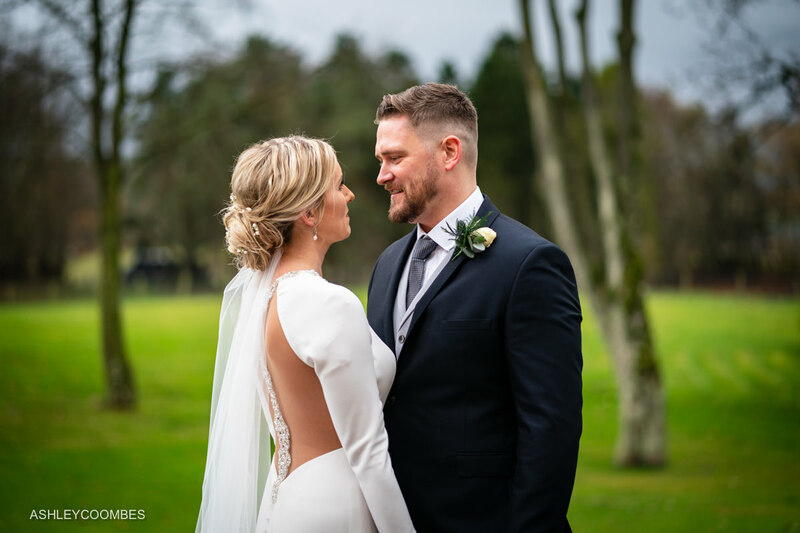 I’ve been the Cornhill Castle wedding photographer for quite a few couples now, so I knew I was in for a good day when Stephanie and Craig asked me to do the honours for them. 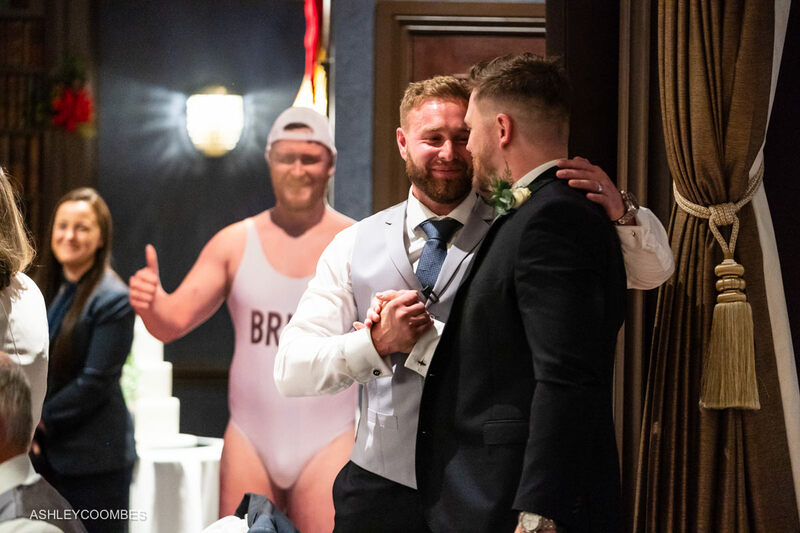 The venue always pulls out all the stops for their weddings and it was no different for these guys. 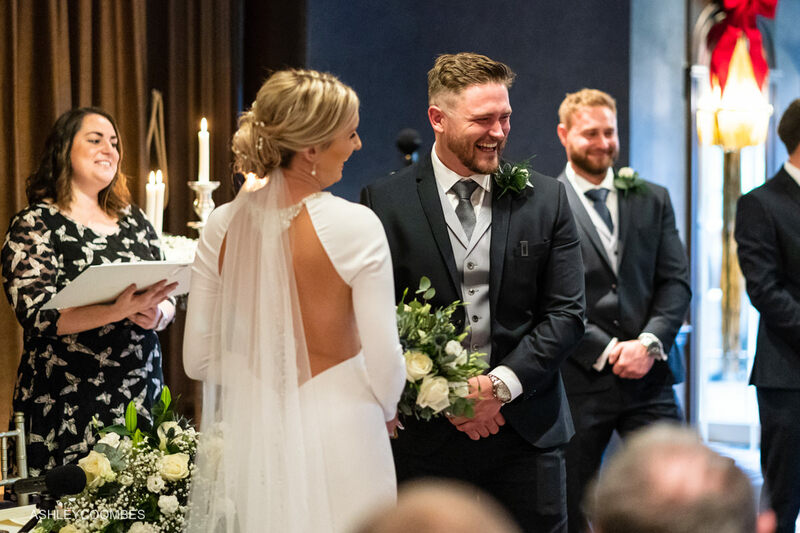 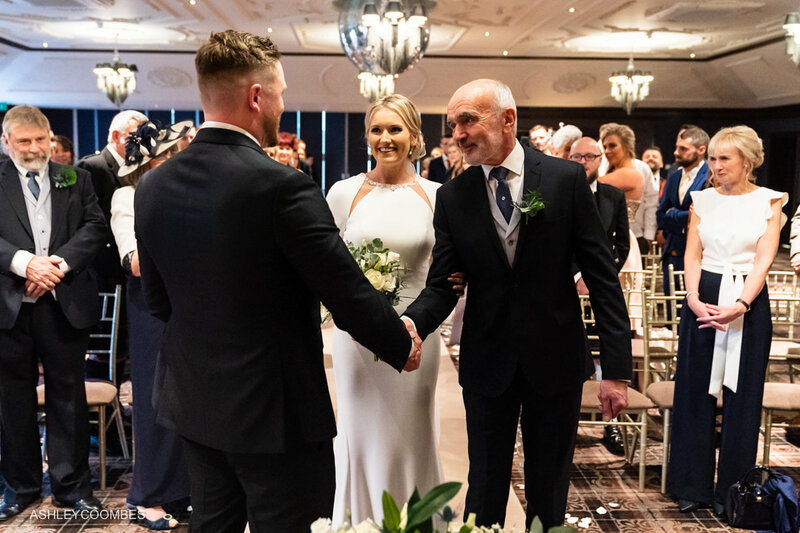 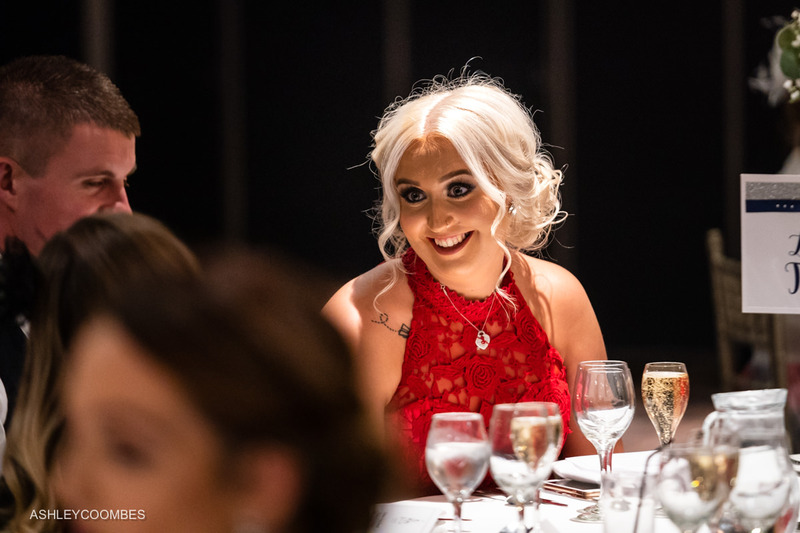 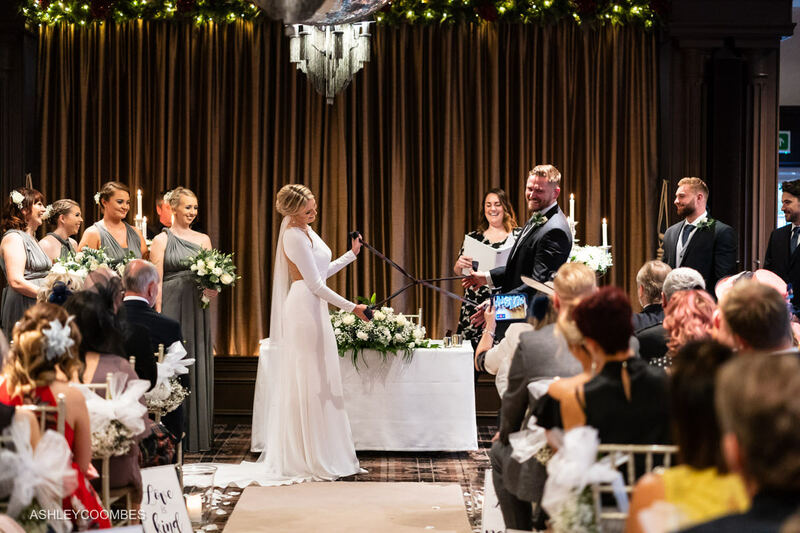 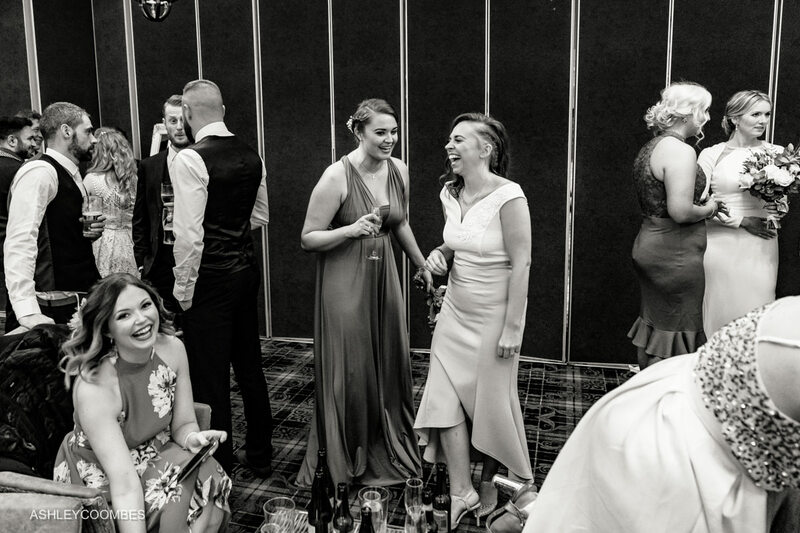 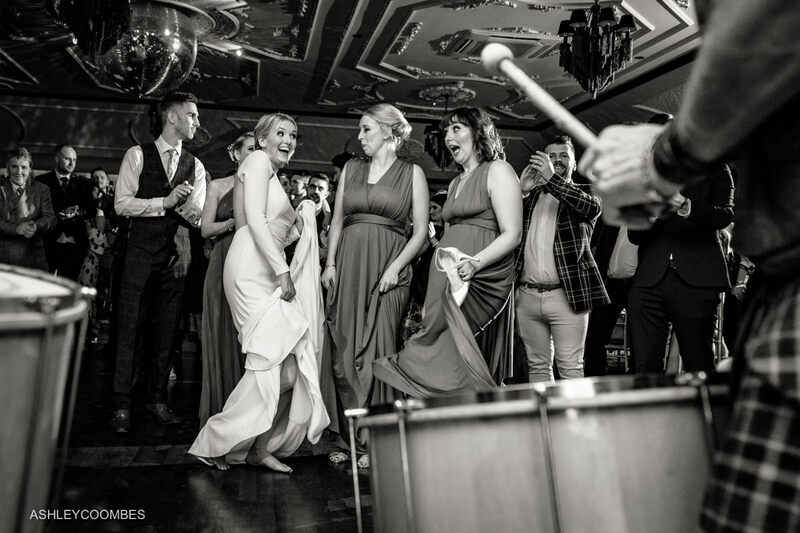 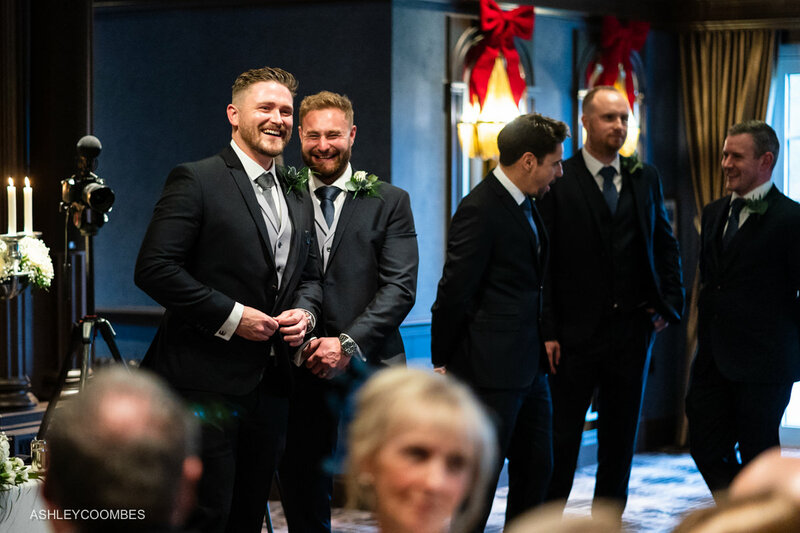 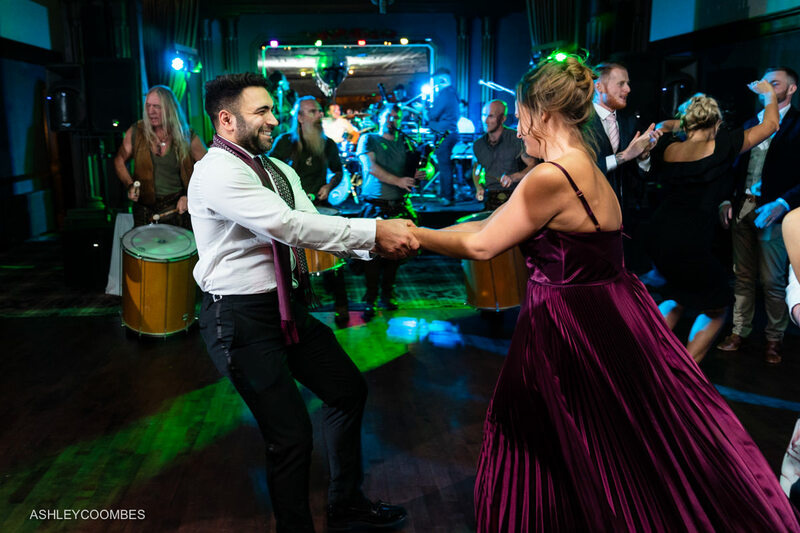 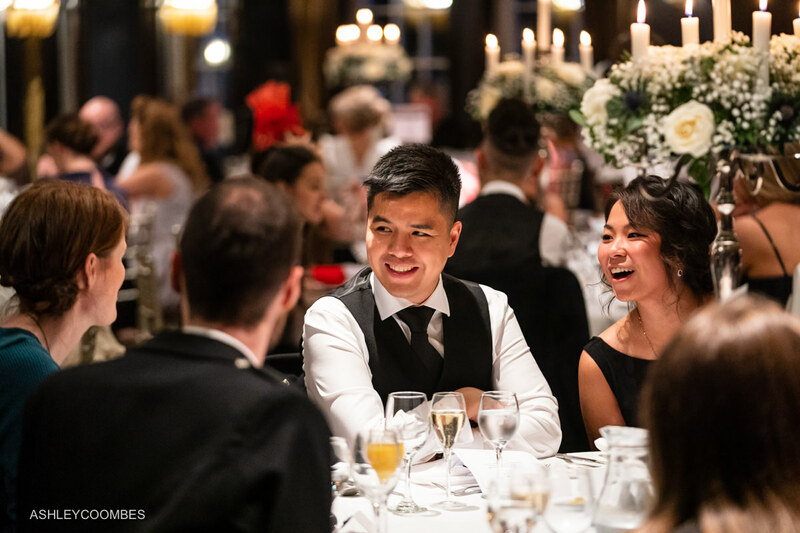 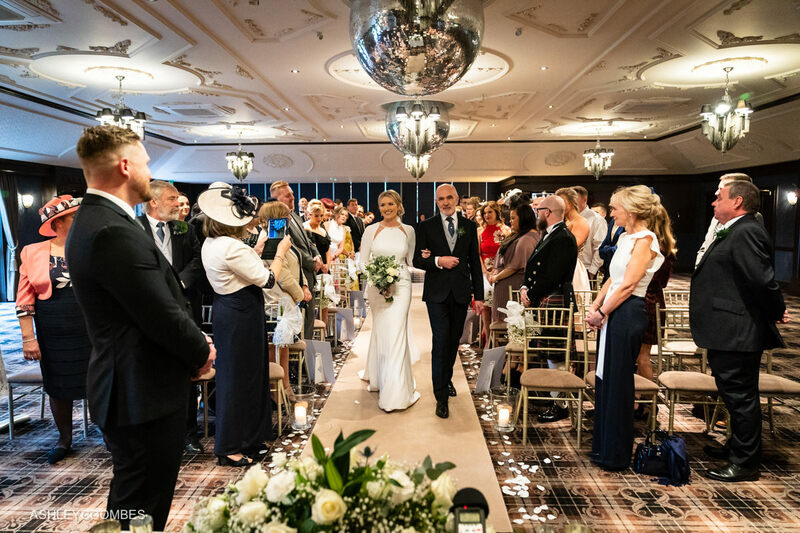 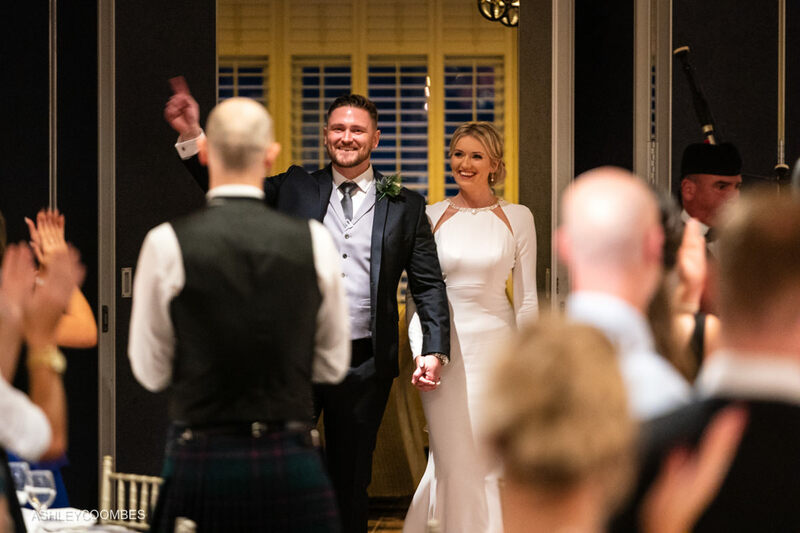 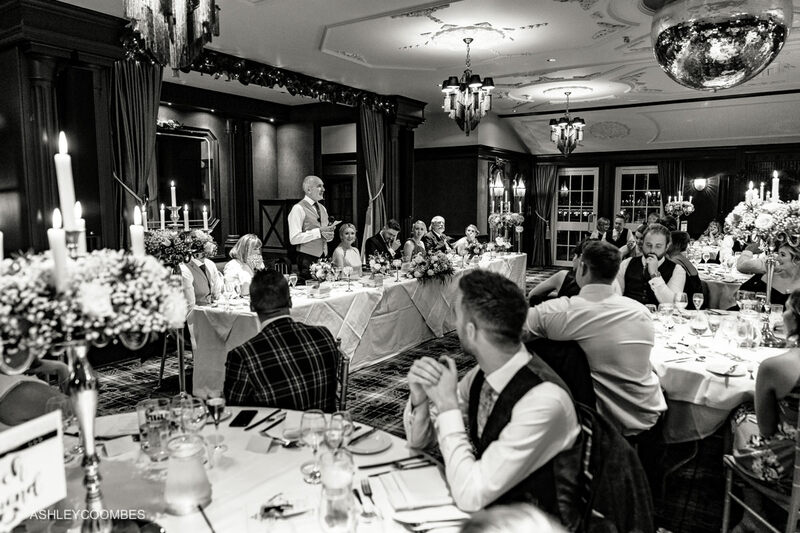 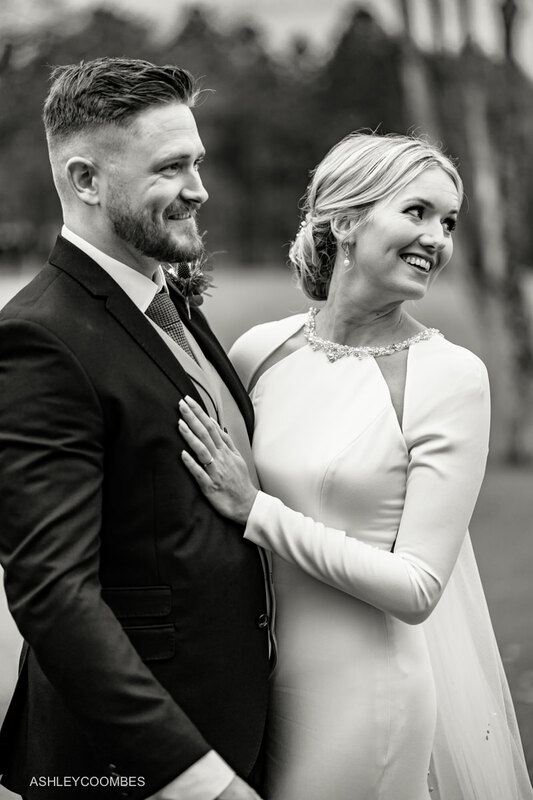 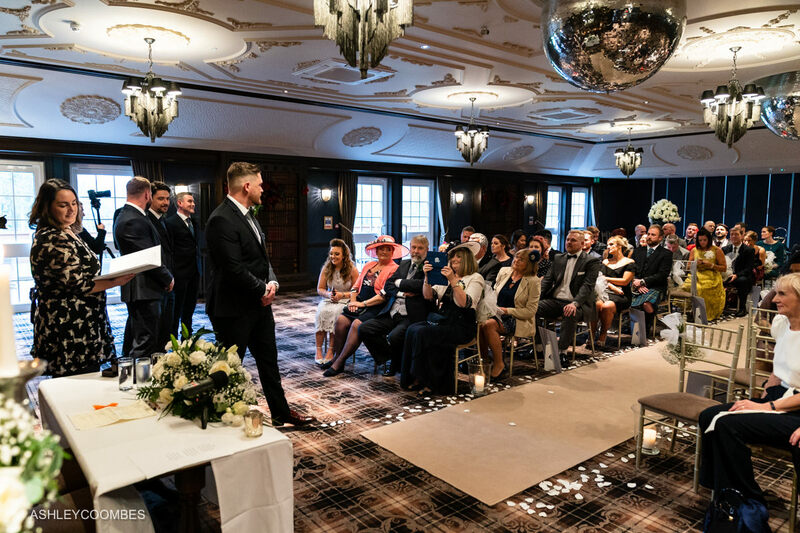 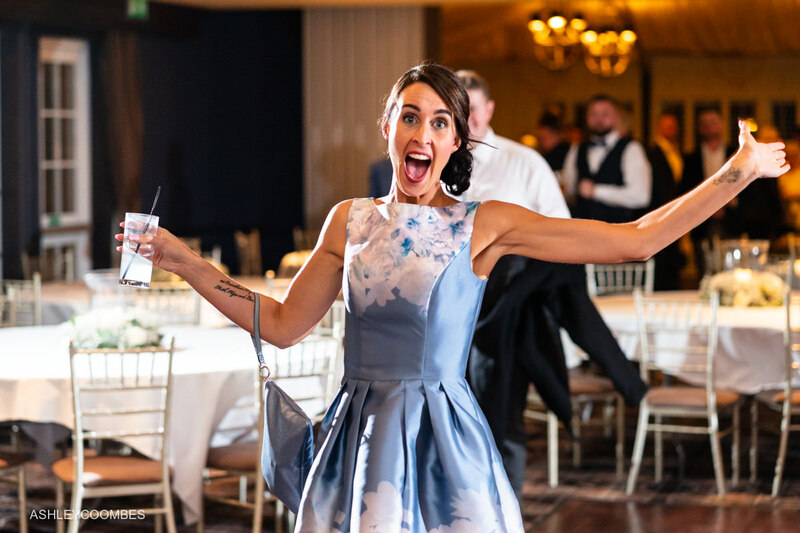 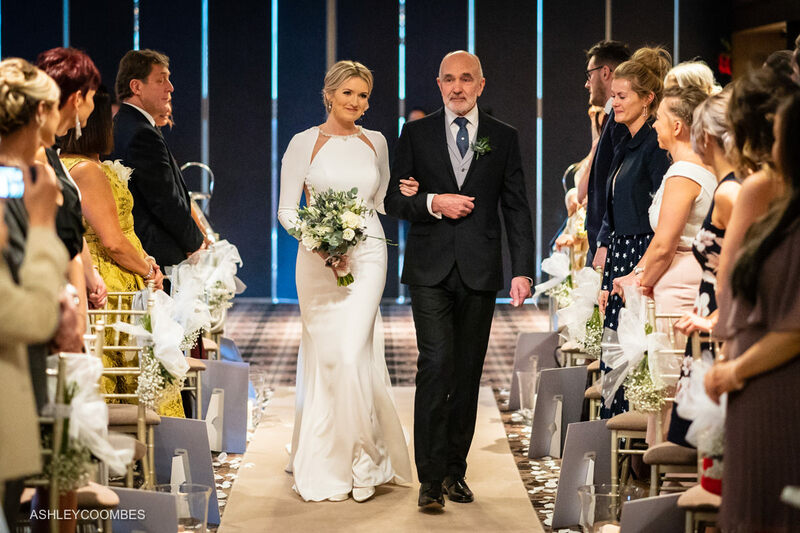 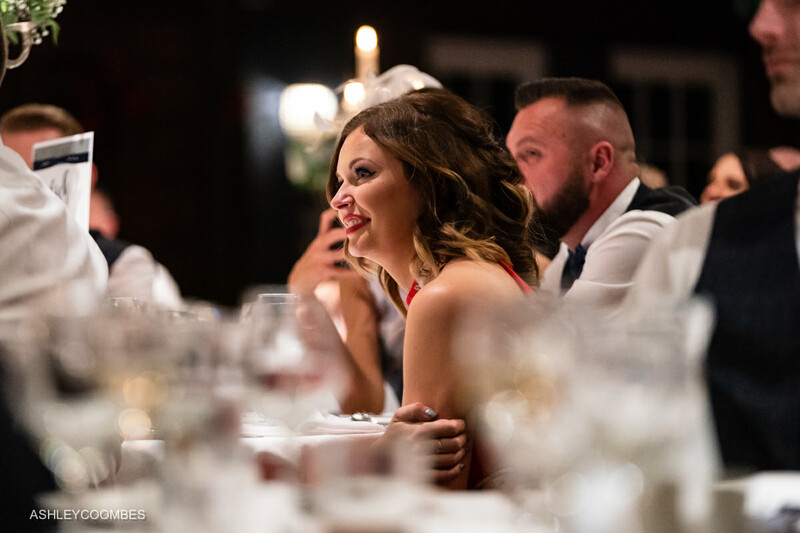 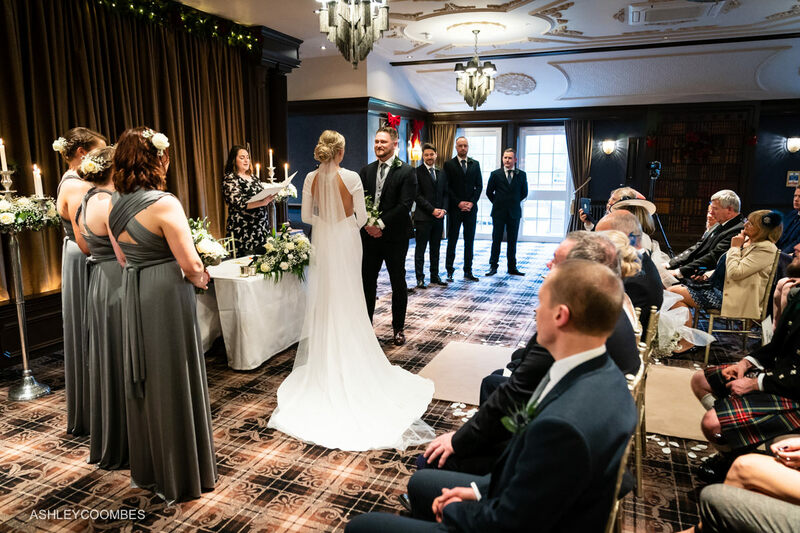 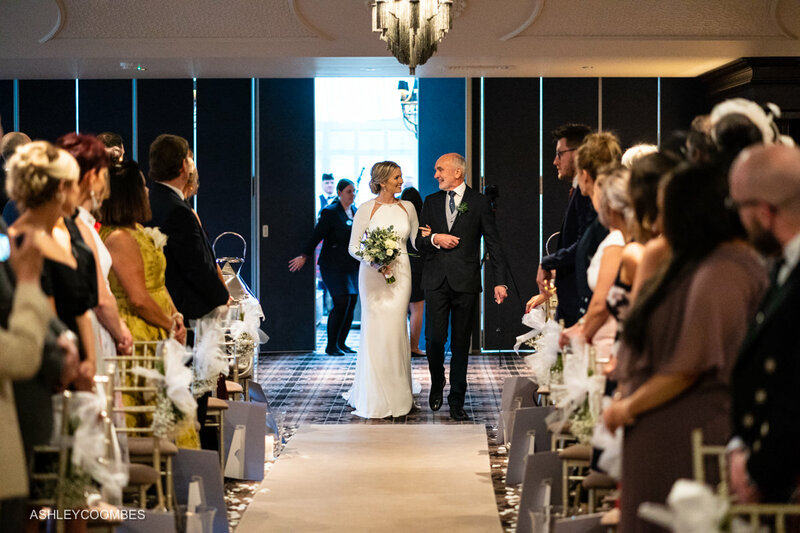 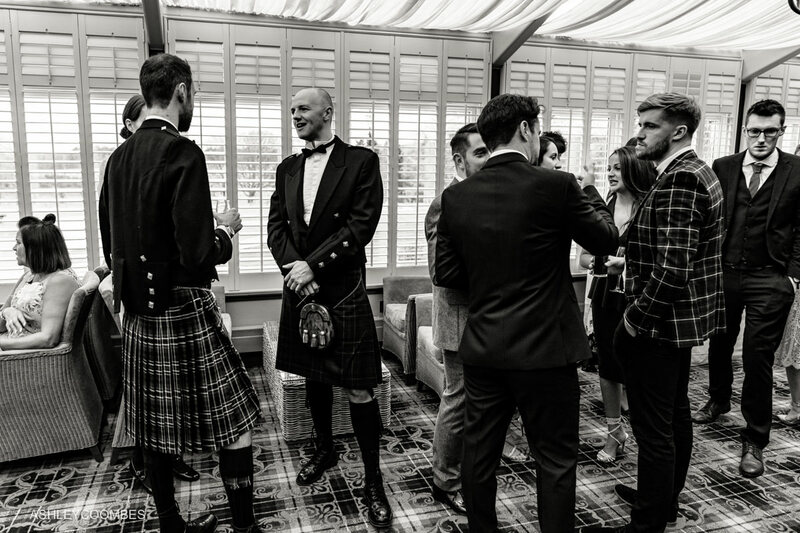 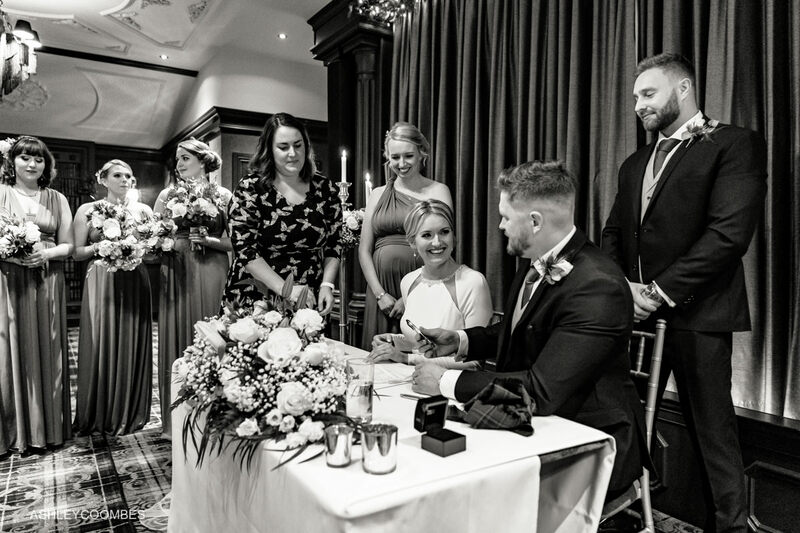 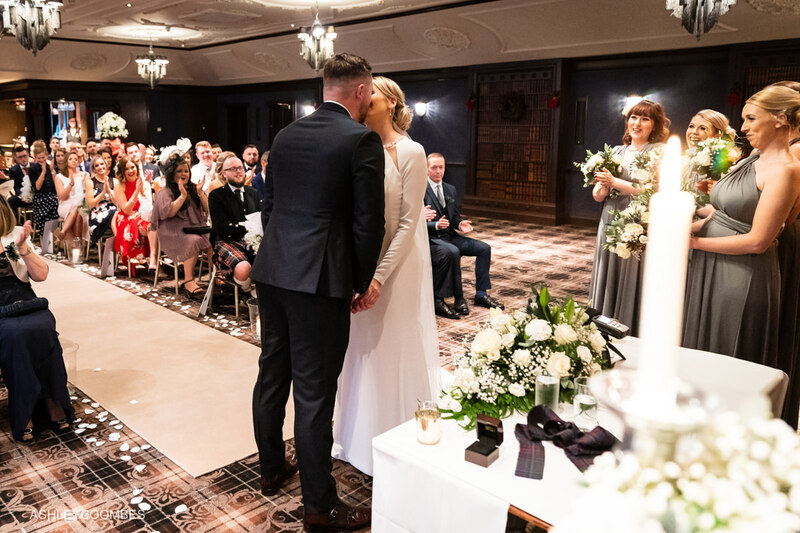 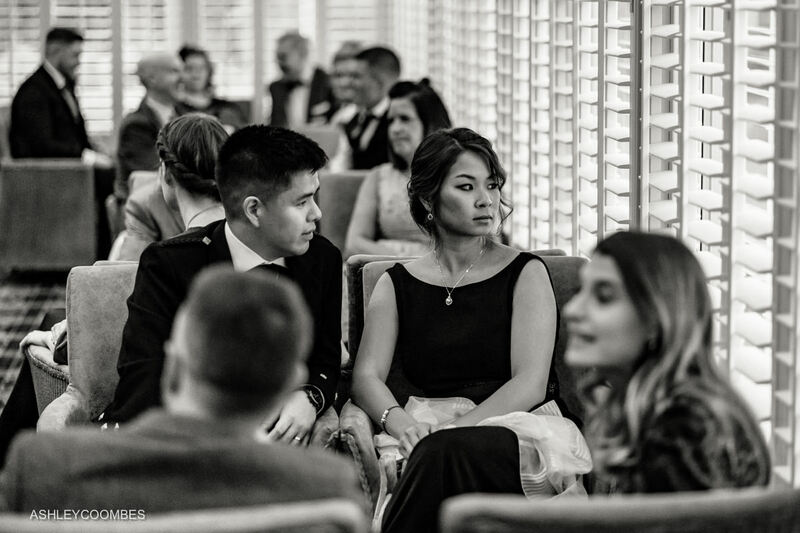 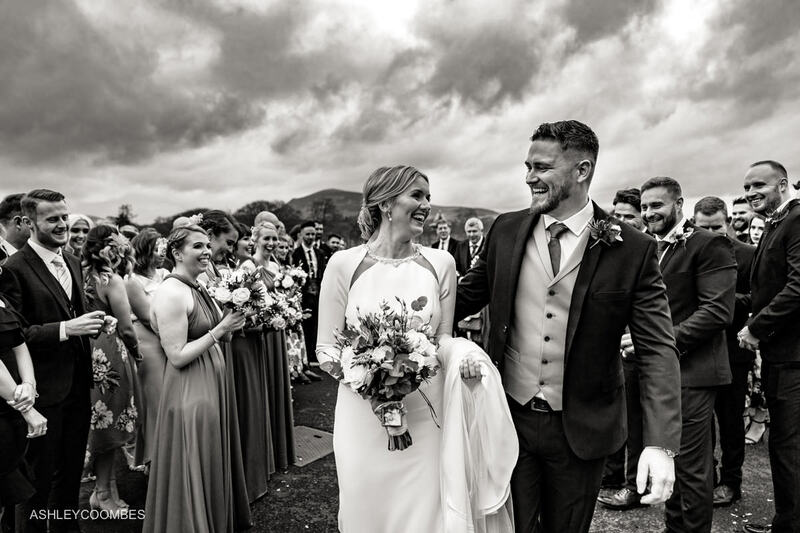 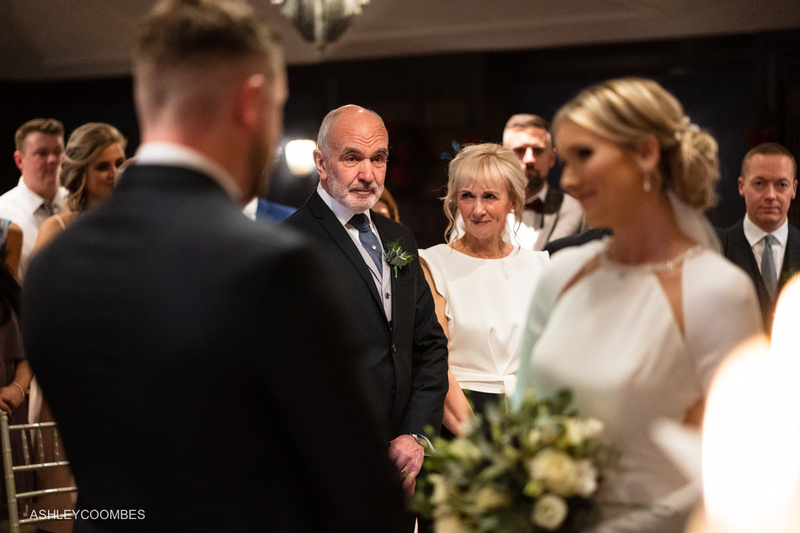 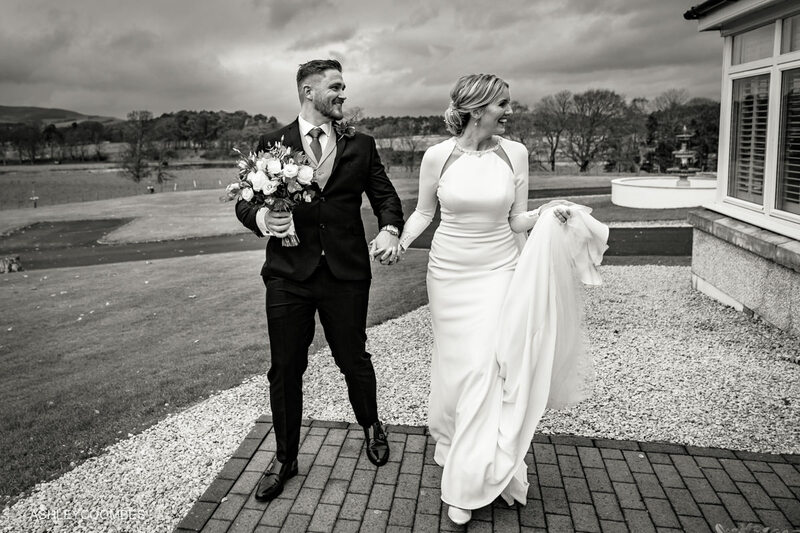 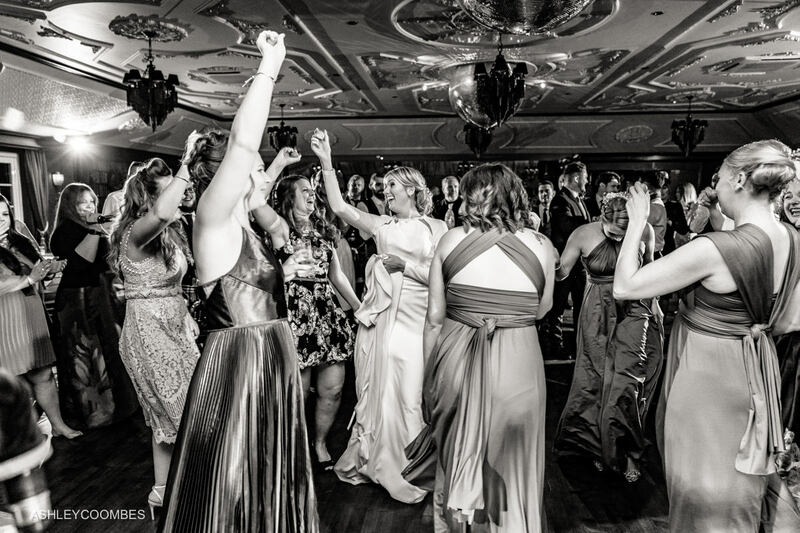 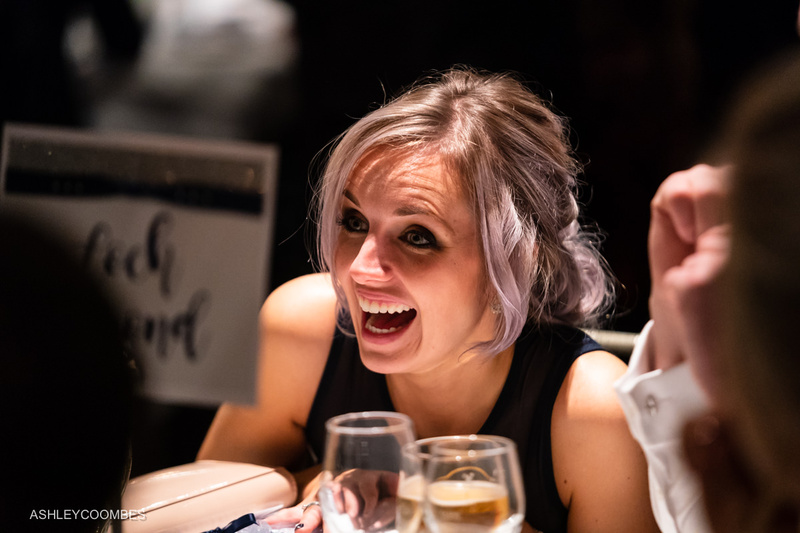 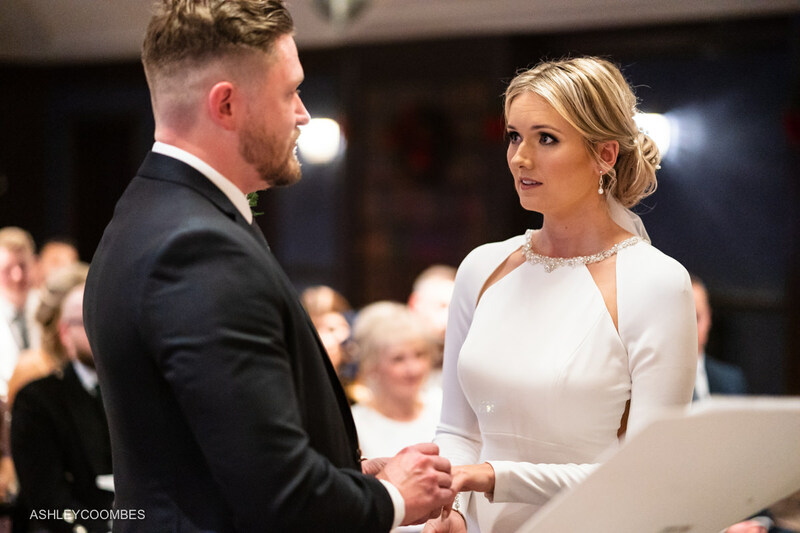 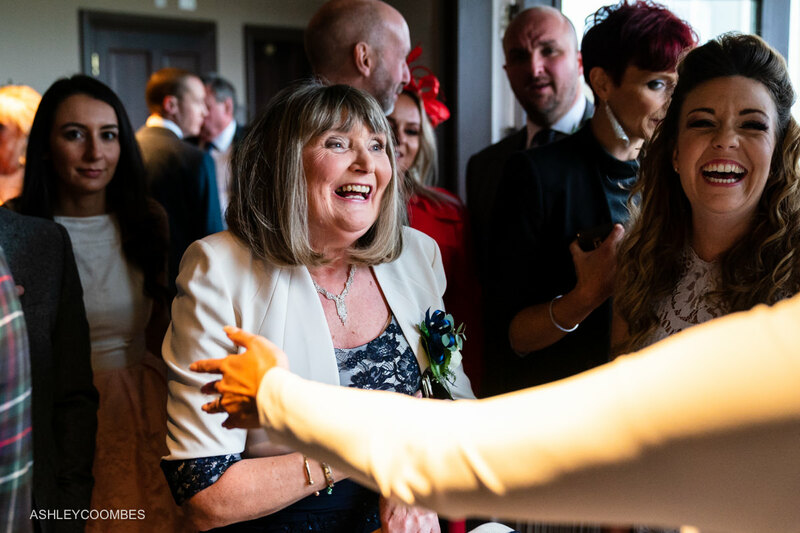 It soon became apparent that both the couple and all their guests really knew how to celebrate a marriage and we were in for a lively day of a lot of fun and a lot of laughs! 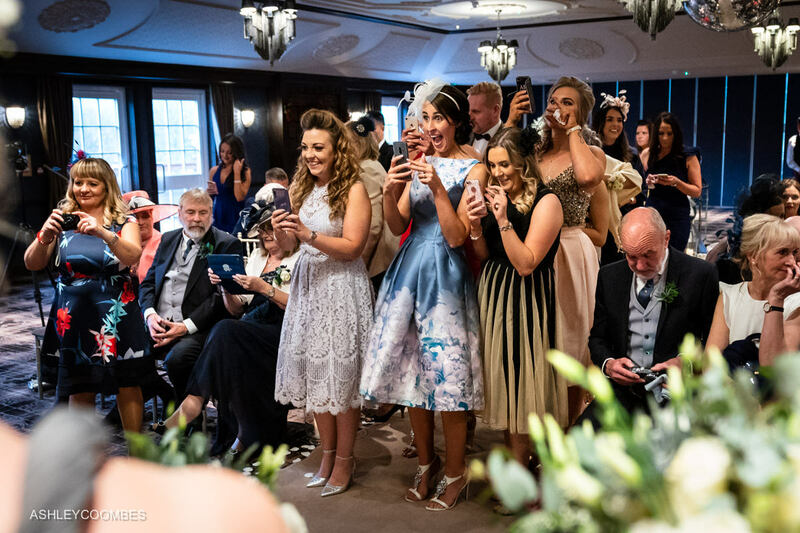 But as is so often the case on such a special day, the emotions were running close to the surface and there were some very poignant moments as they remembered those who couldn’t be with them. 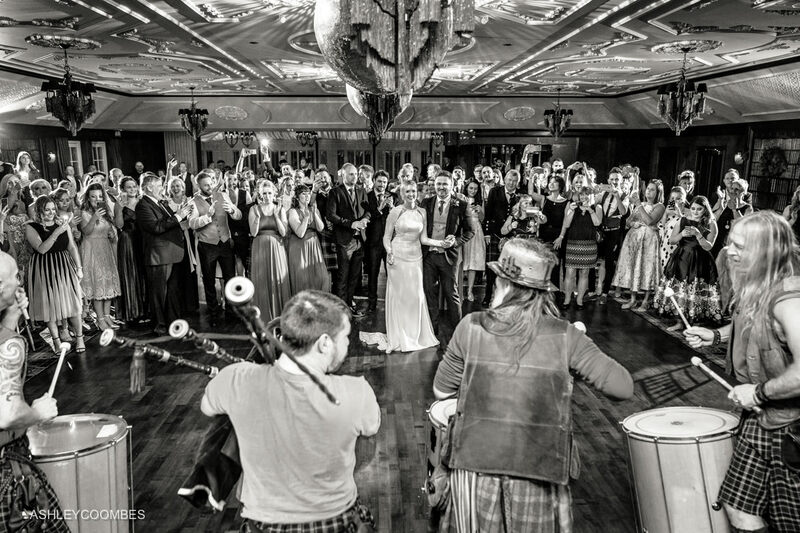 The big surprise of the night was the noisy arrival of the wedding entertainers, Clanadonia after the first dance. 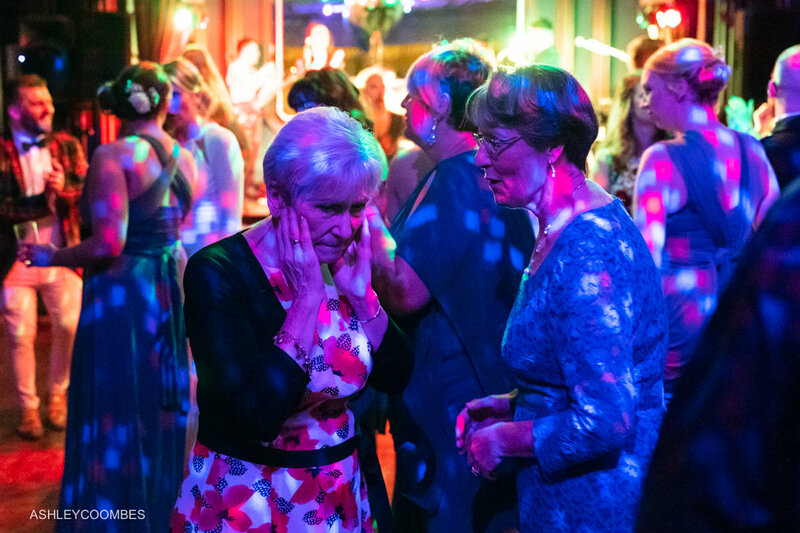 This really got the evening entertainment off to an energetic start. 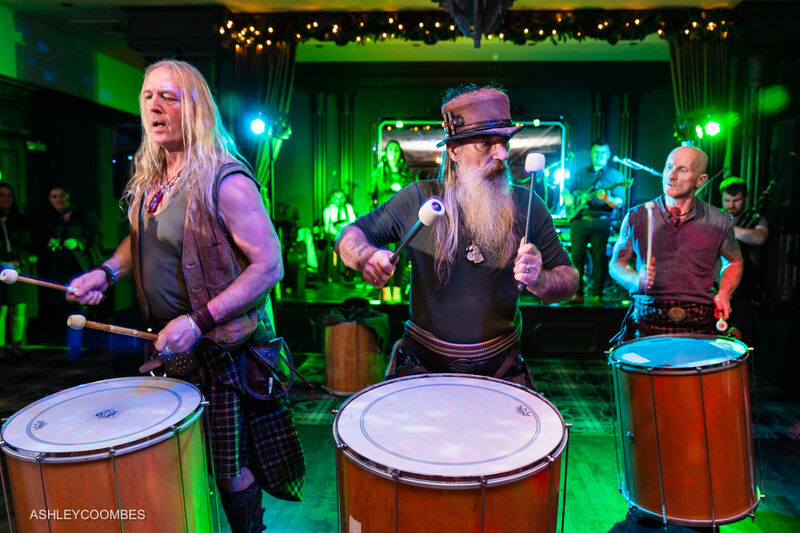 The tartan-clad mayhem that is Clanadonia is a high energy blend of long beards, tattoos, tribal rhythms, bagpipes and a ferocious drum beat. 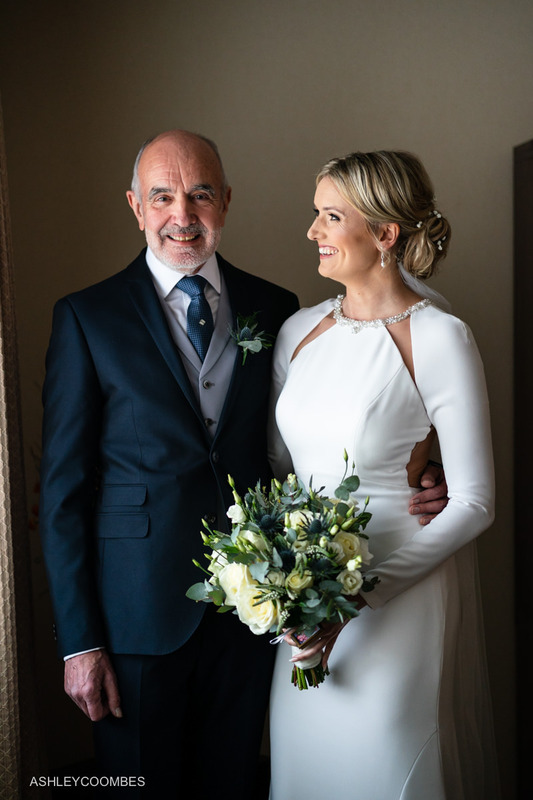 Anyway, I’ll let the pictures tell the story of a very special day which I thoroughly enjoyed photographing. 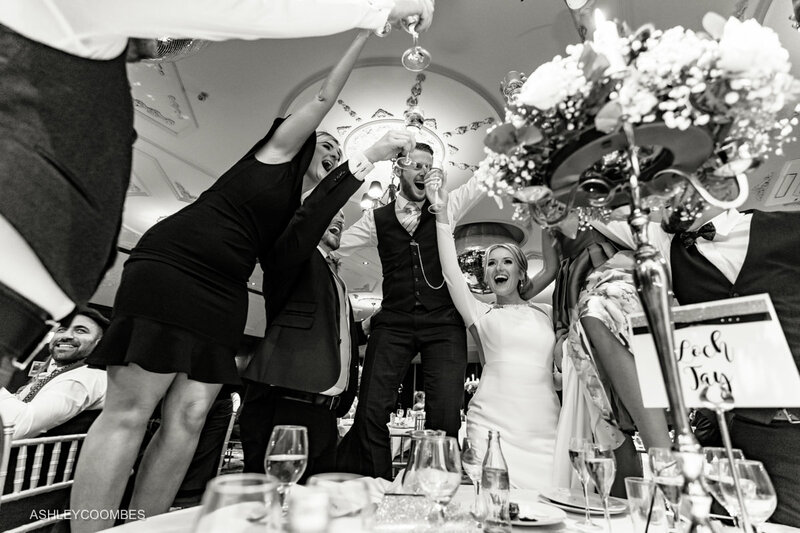 High spirits and strong emotions are always highly contagious!!! 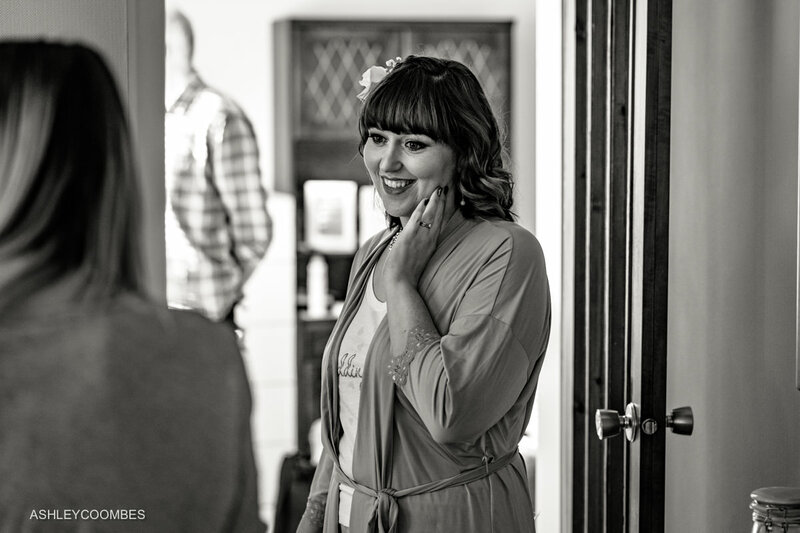 Ashley, Thank so much! 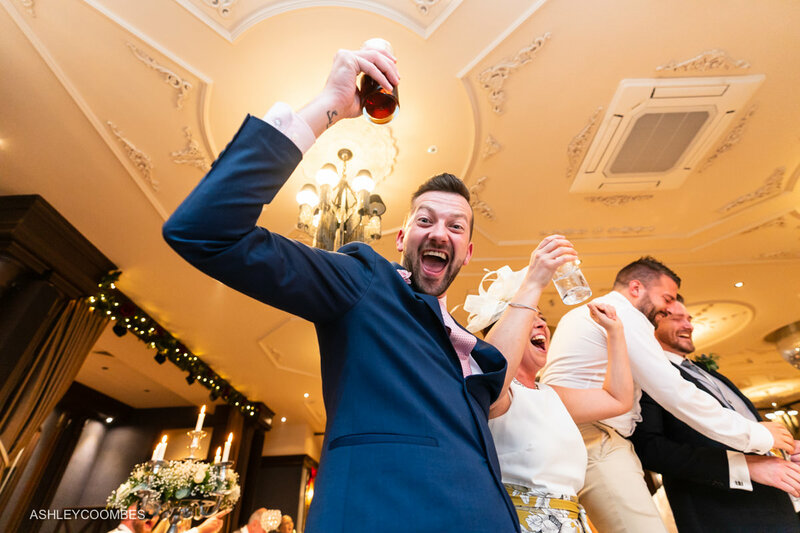 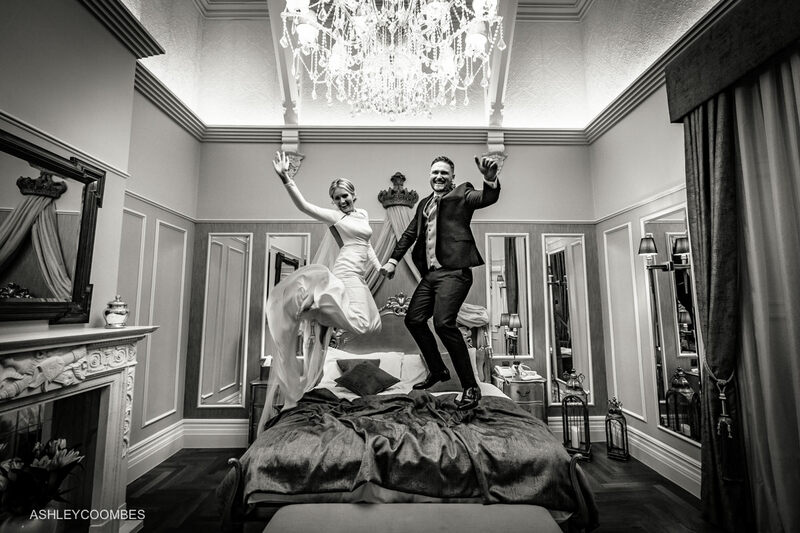 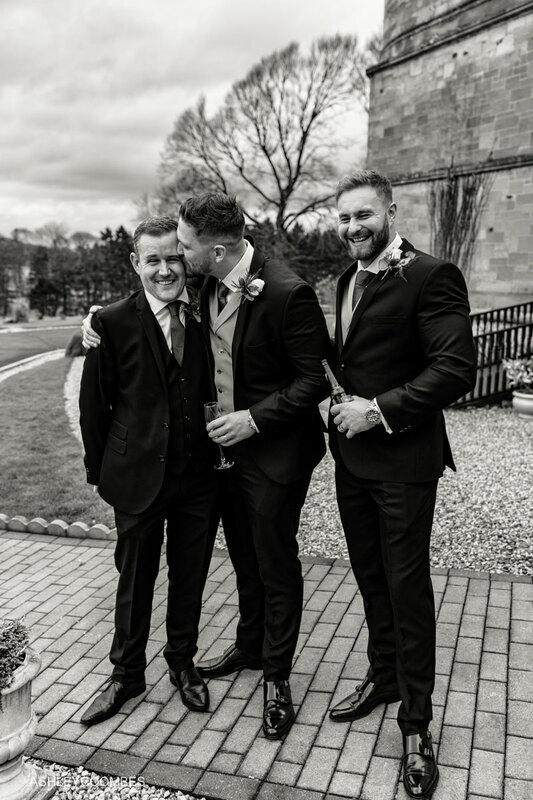 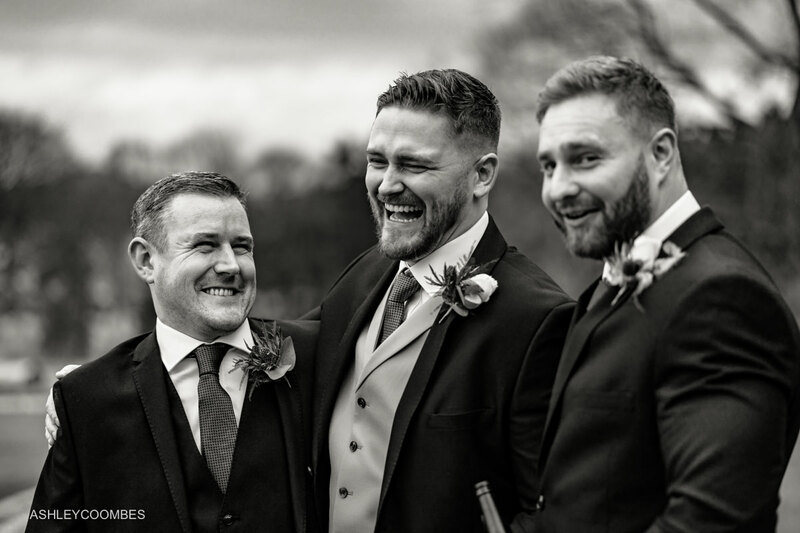 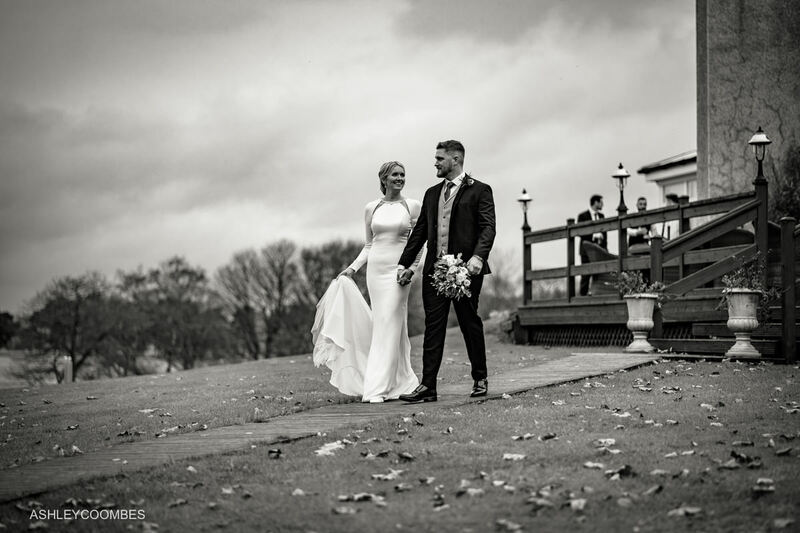 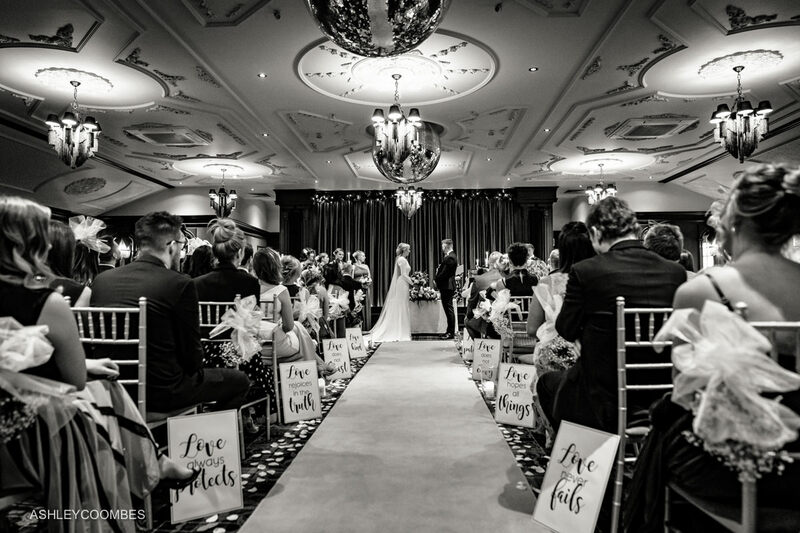 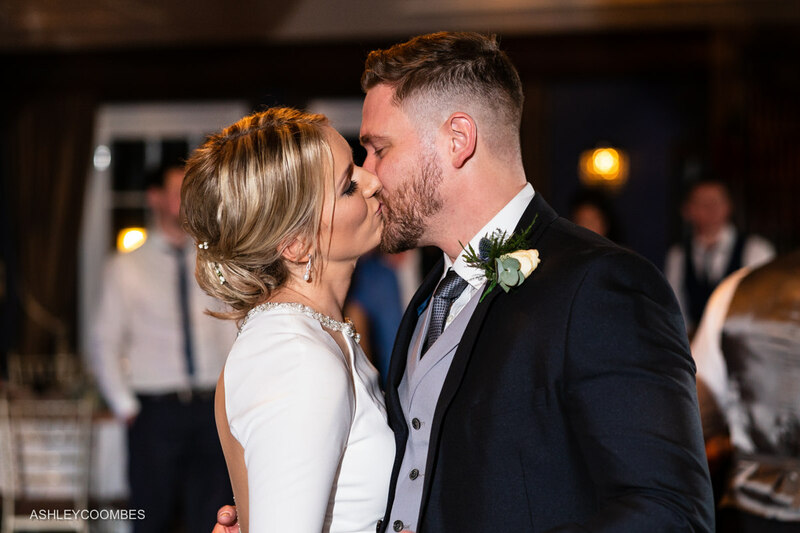 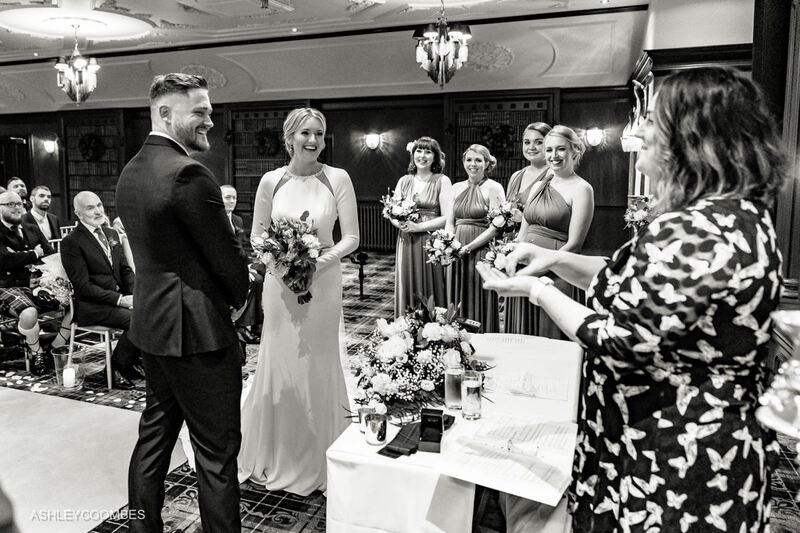 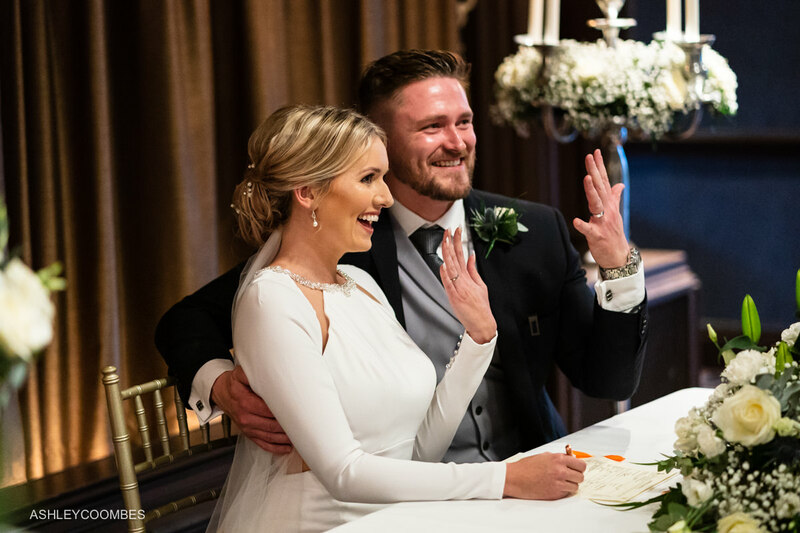 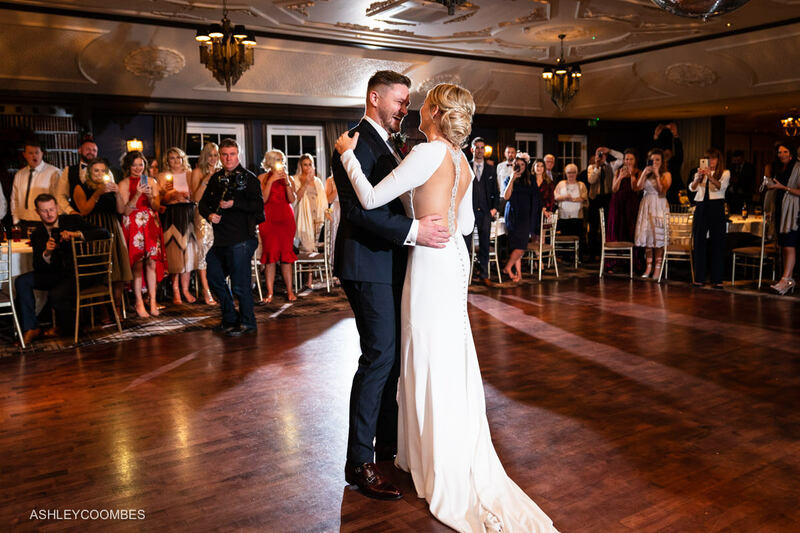 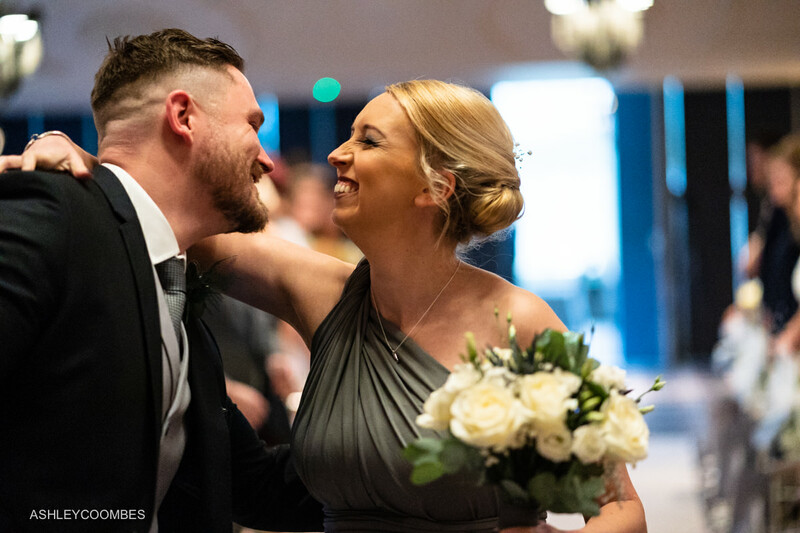 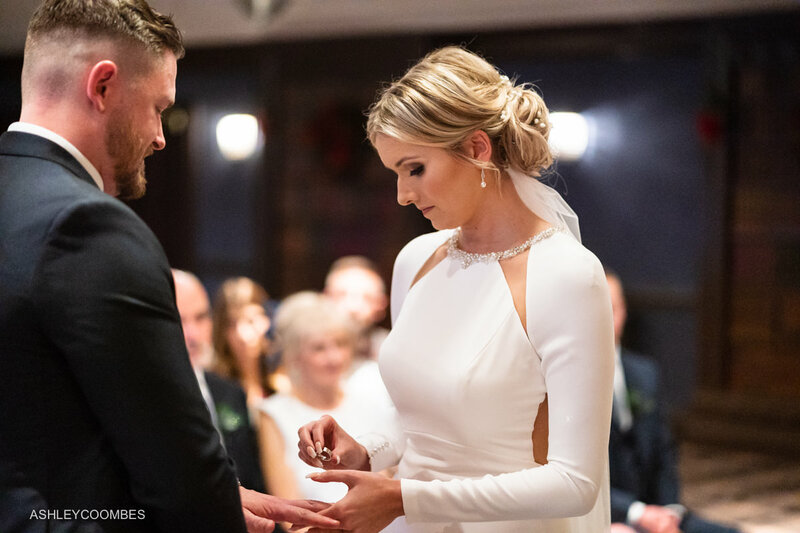 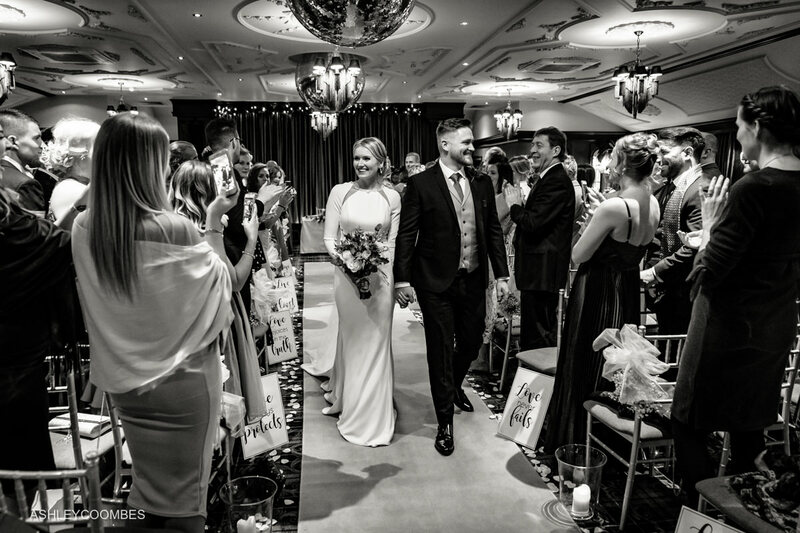 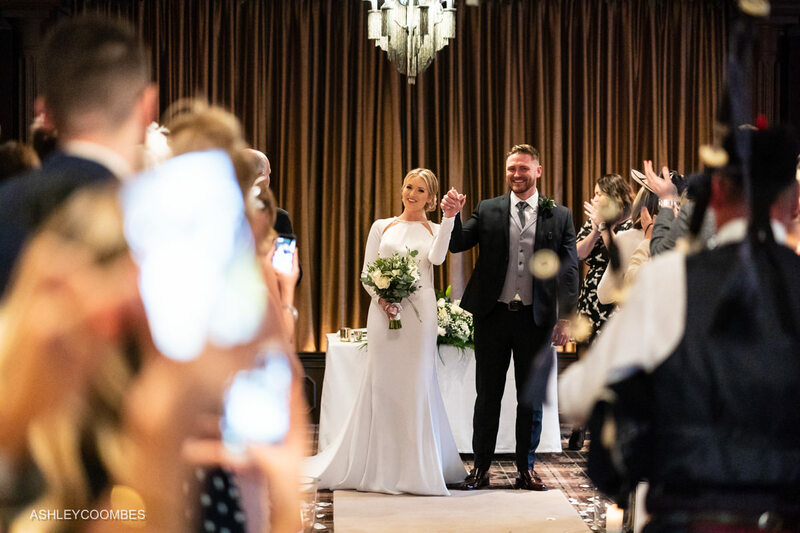 We are over the moon with the shots you got from our big day. 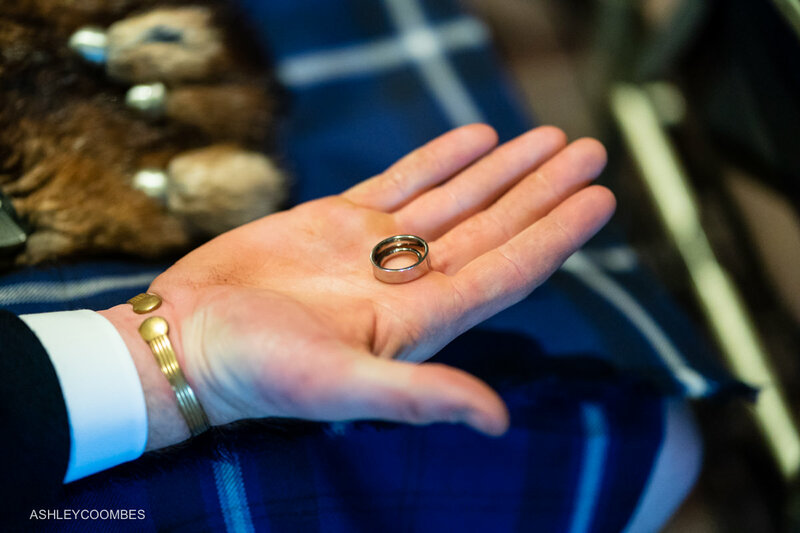 We sat down to view them and we laughed and we cried. 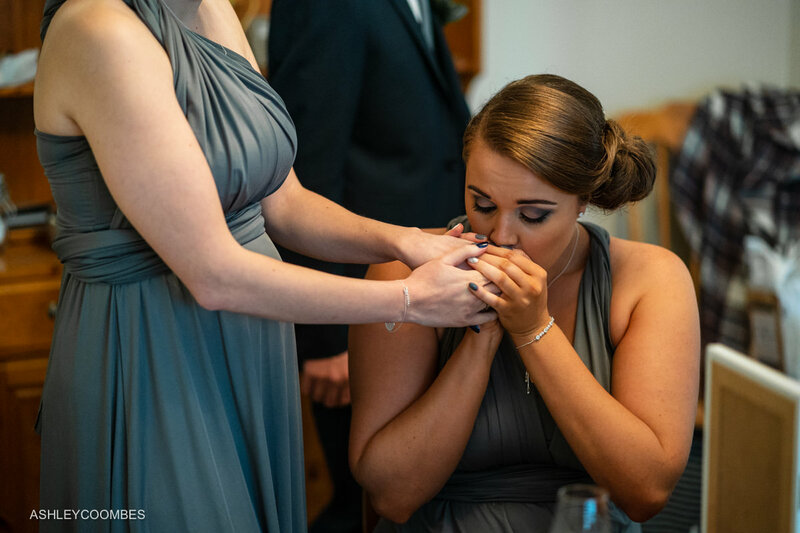 What an amazing job you’ve done of capturing the special moments. 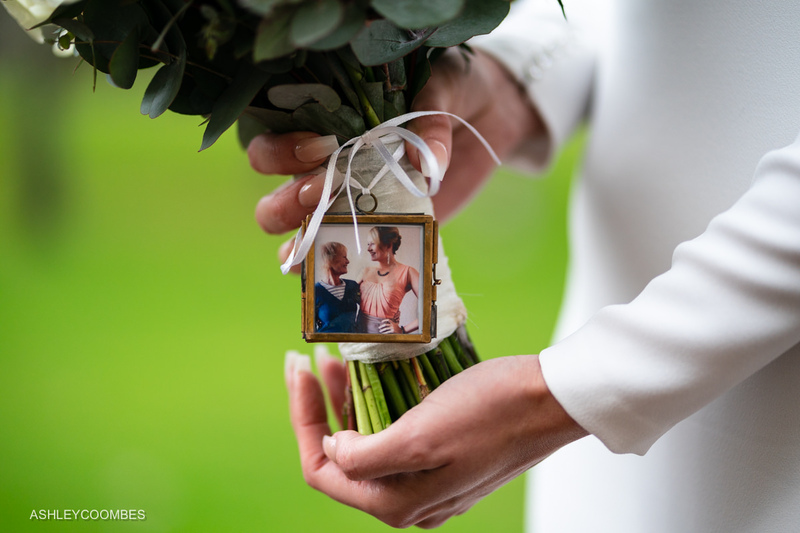 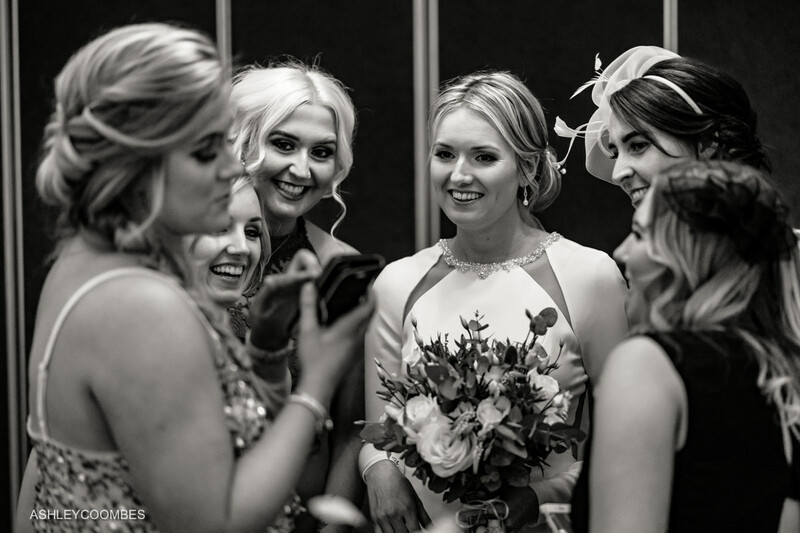 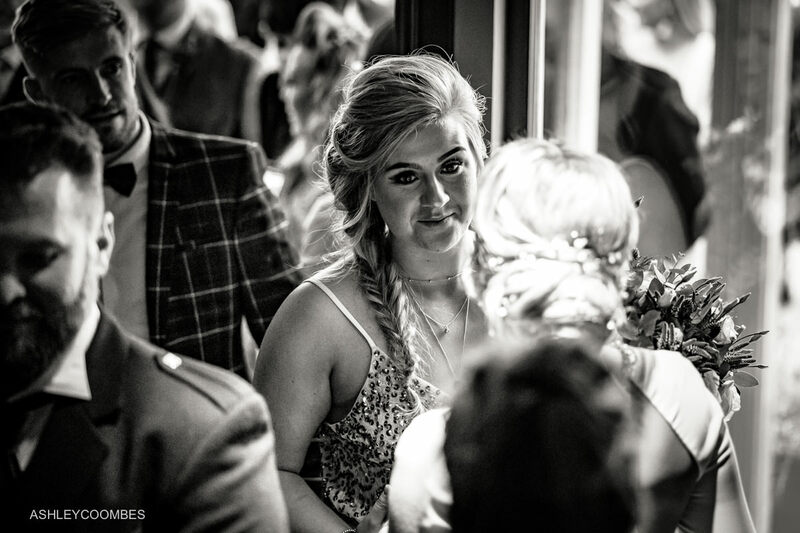 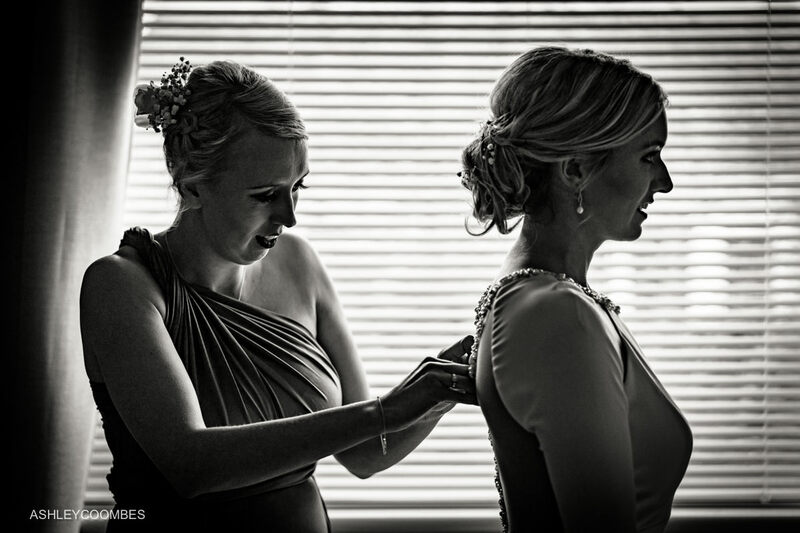 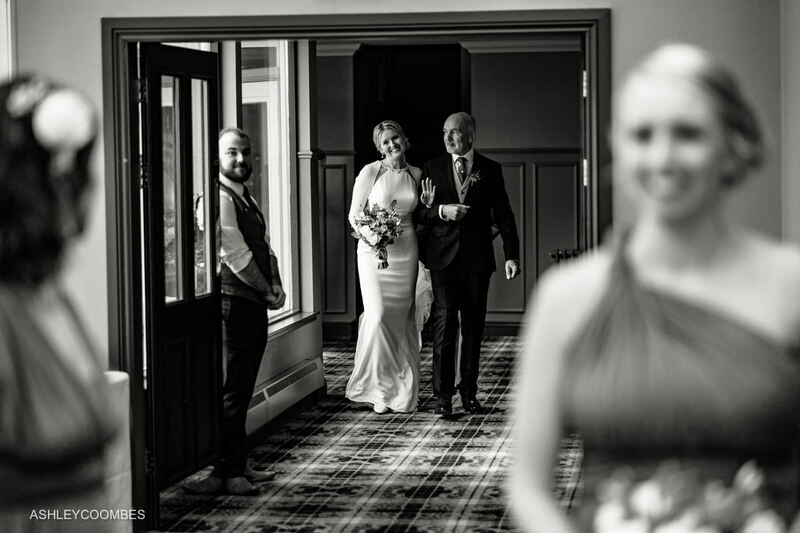 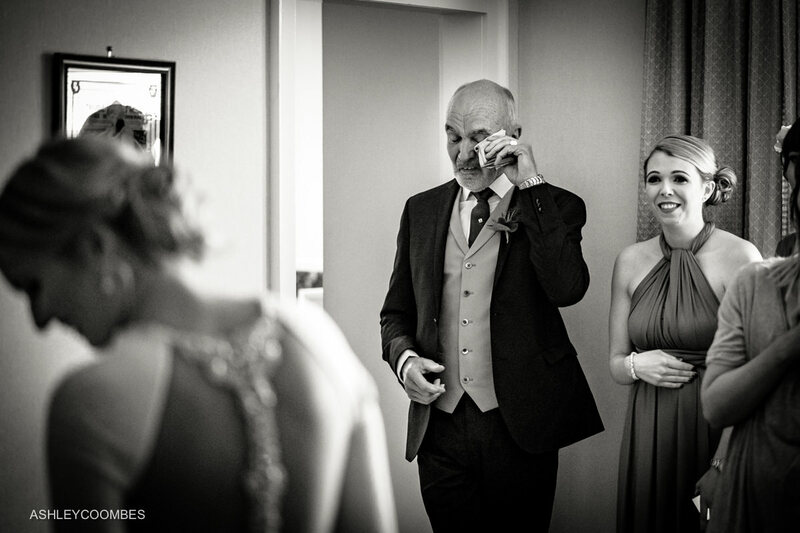 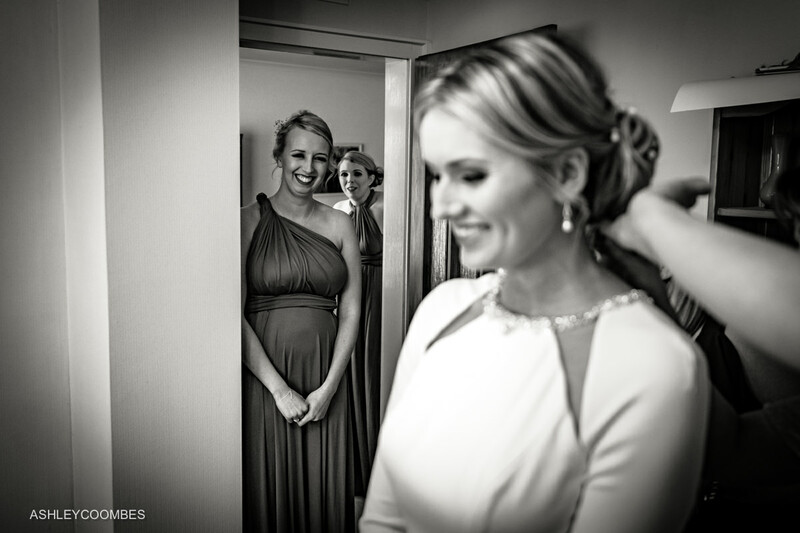 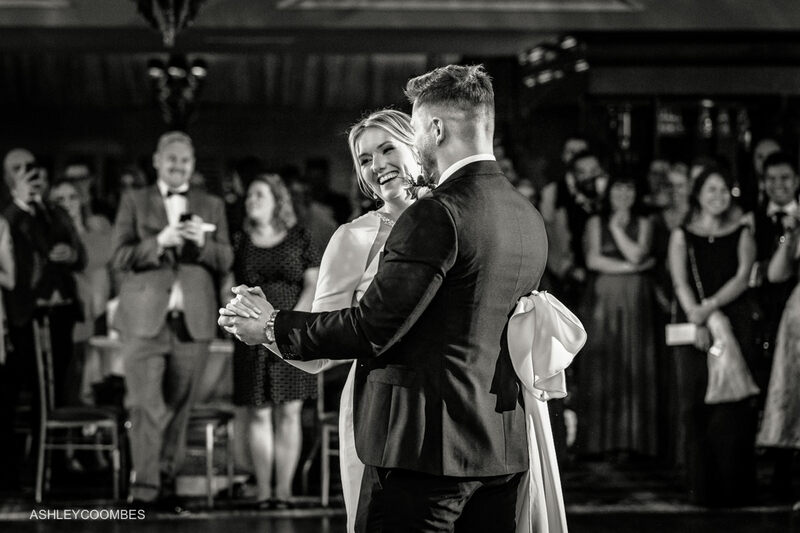 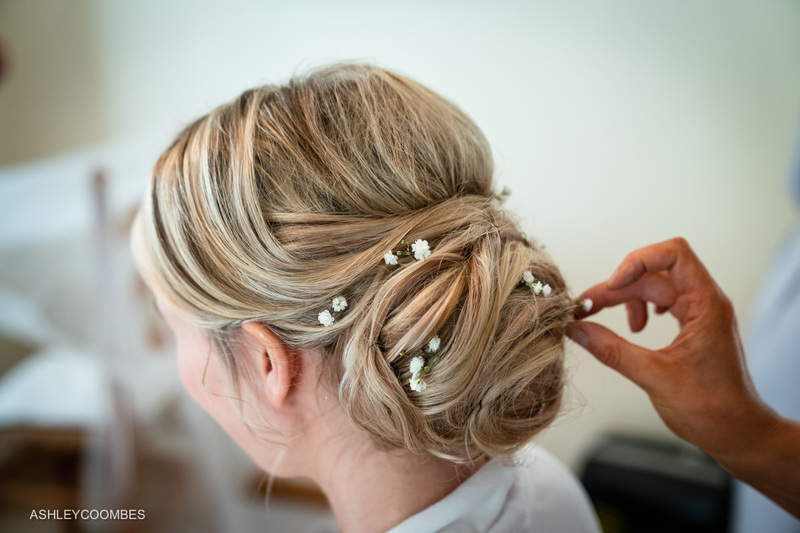 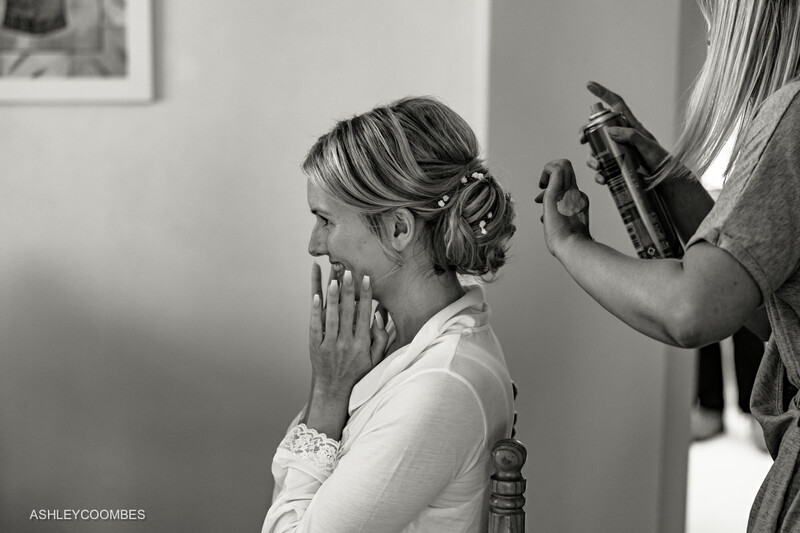 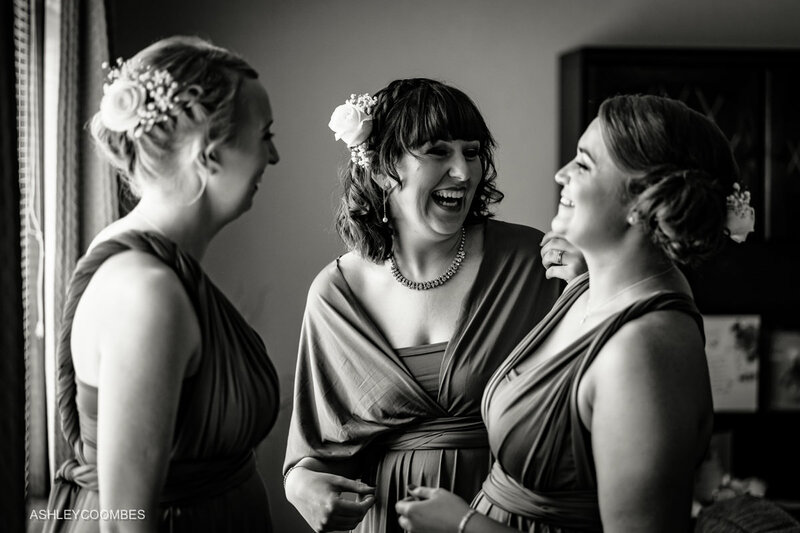 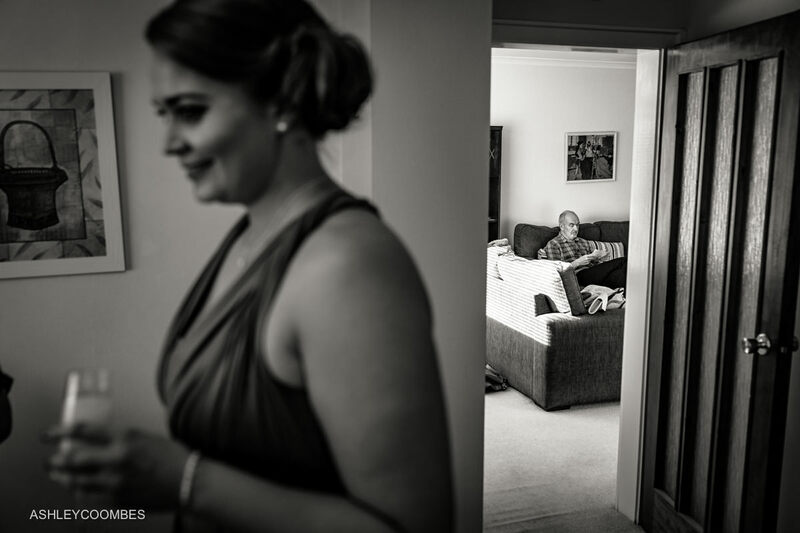 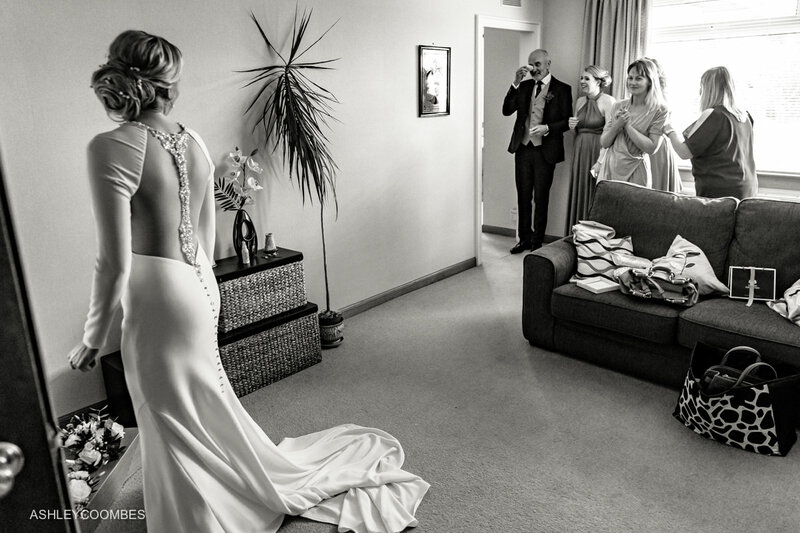 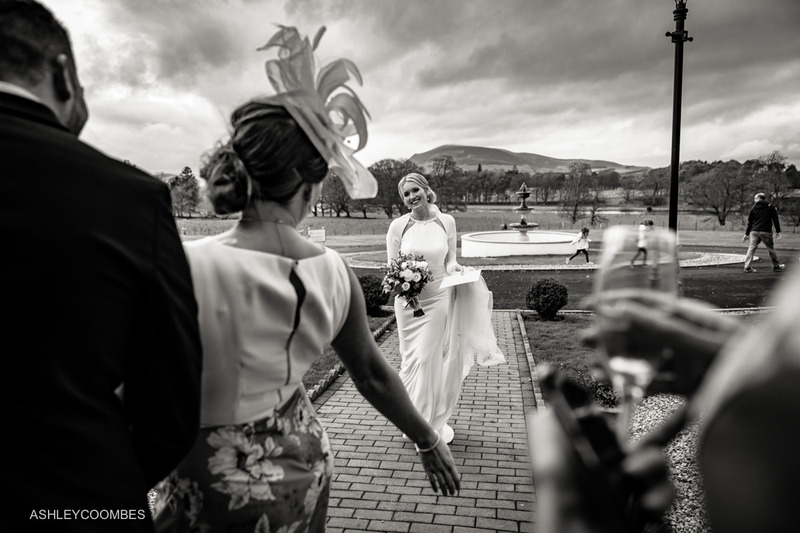 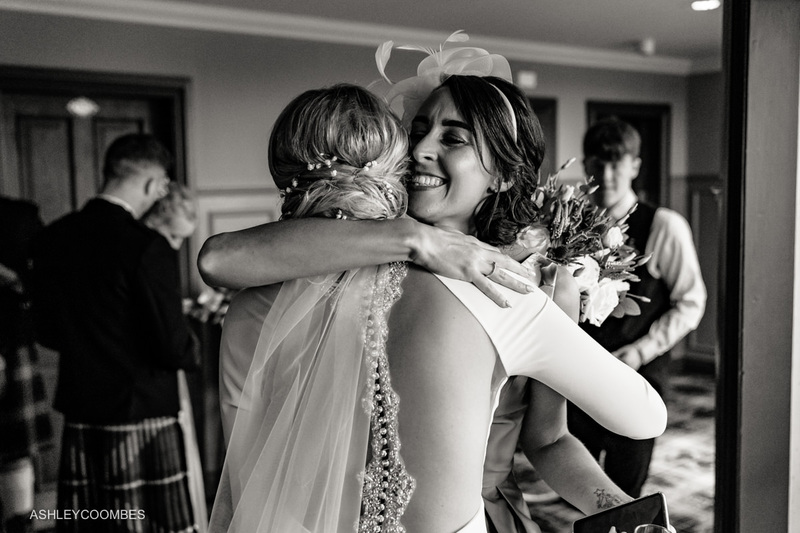 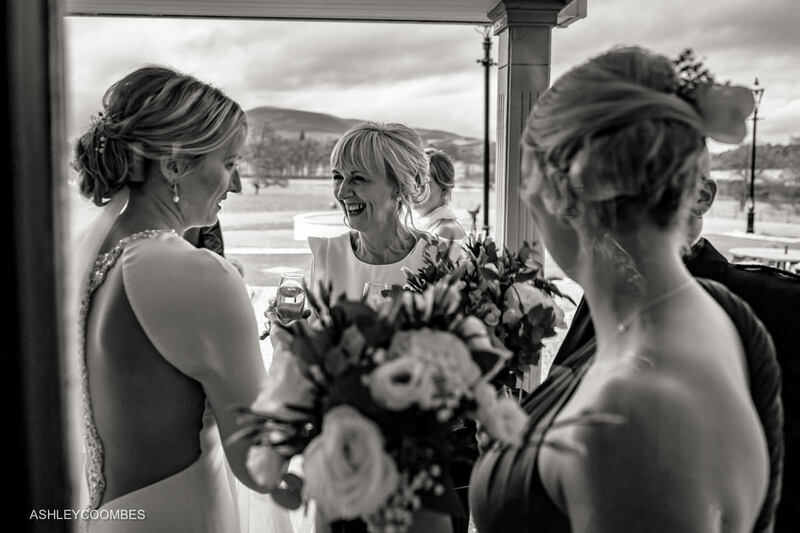 Want to know more about Documentary Wedding Photography? 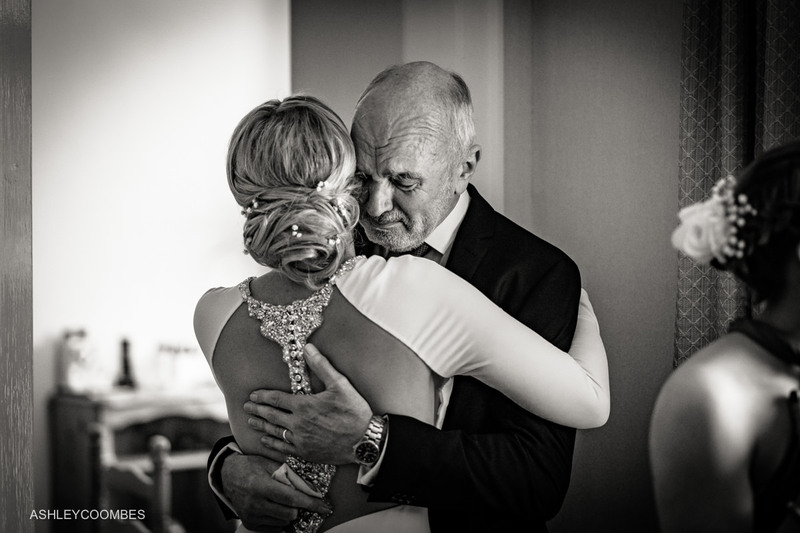 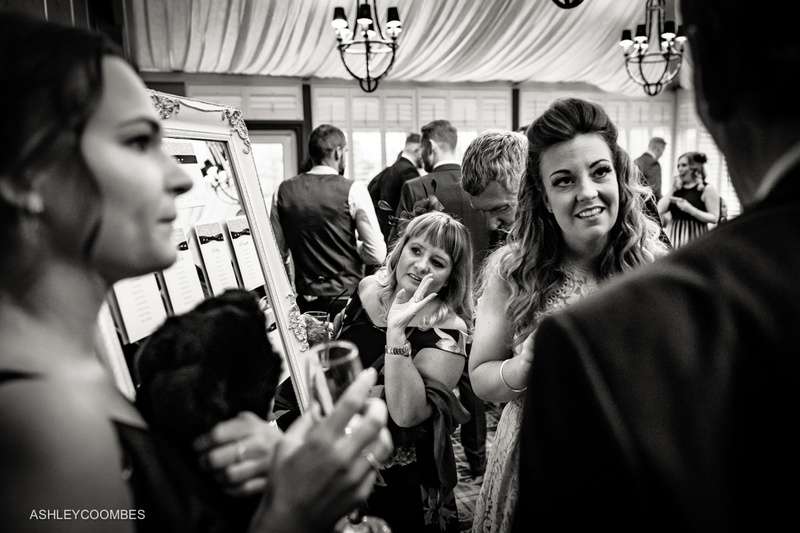 It’s all about authentic storytelling…… genuine emotive photography not standing and posing all day. 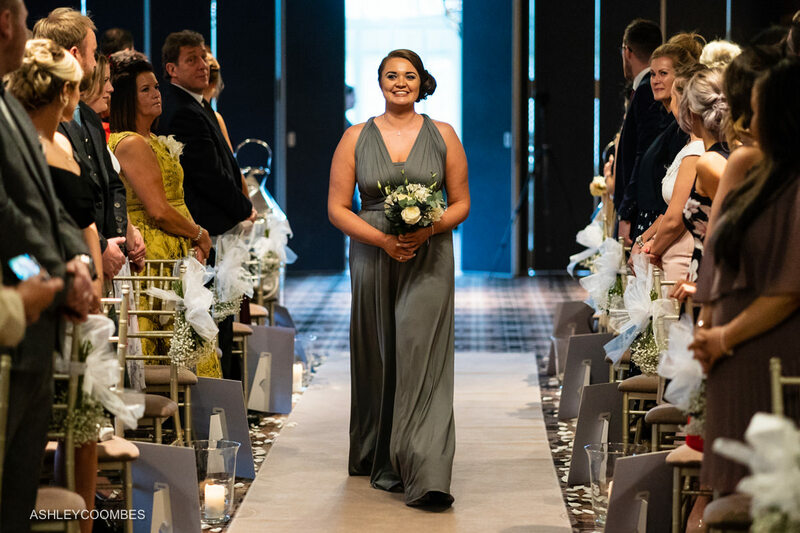 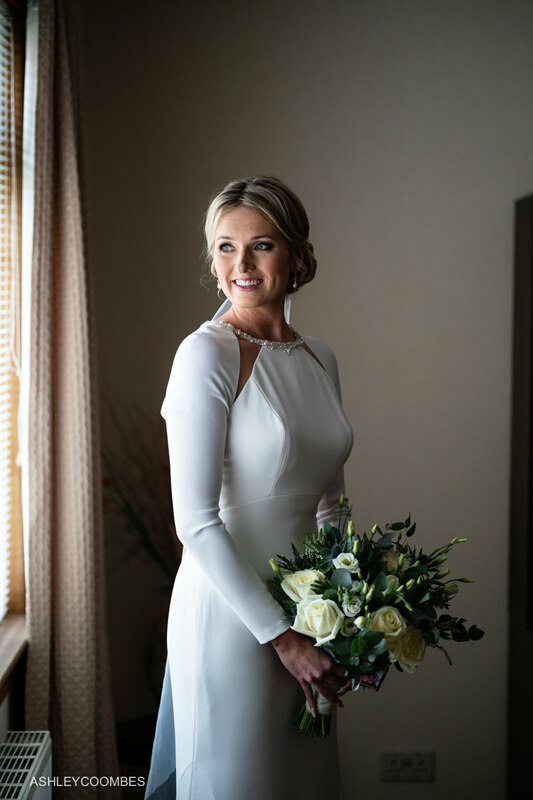 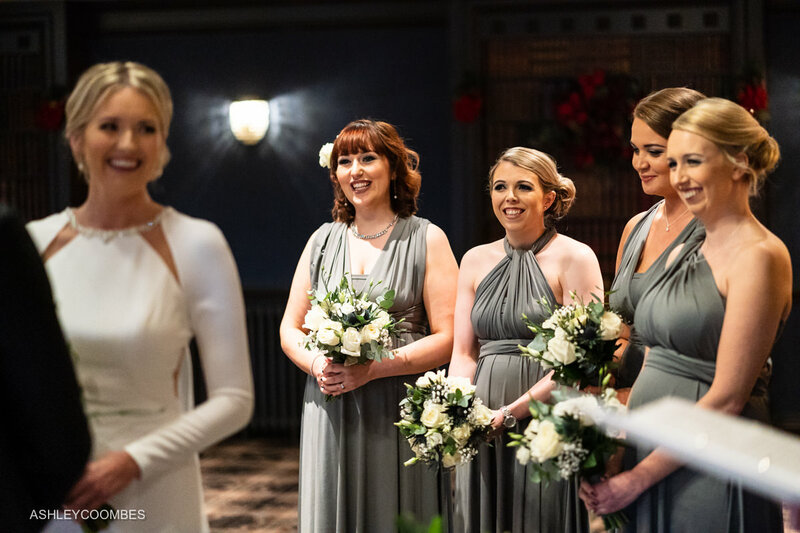 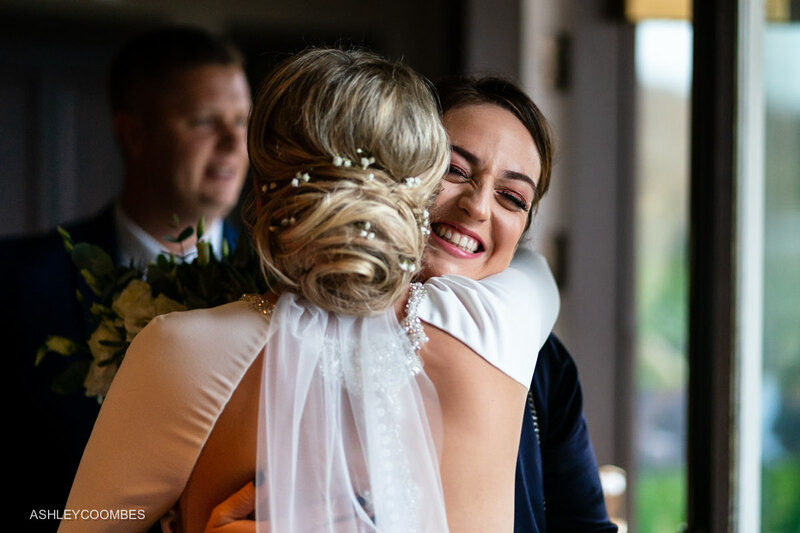 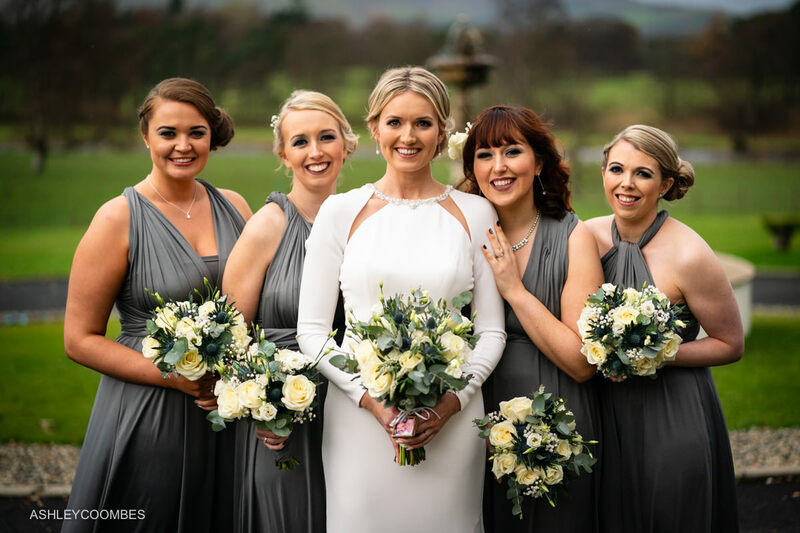 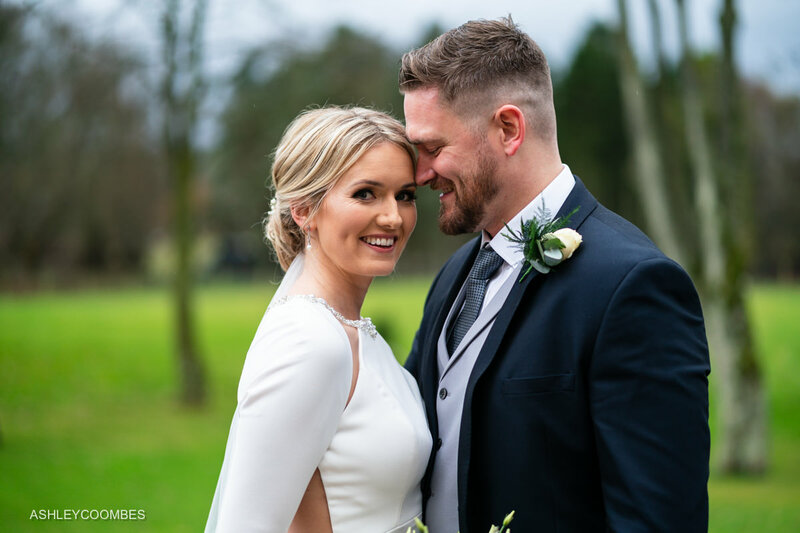 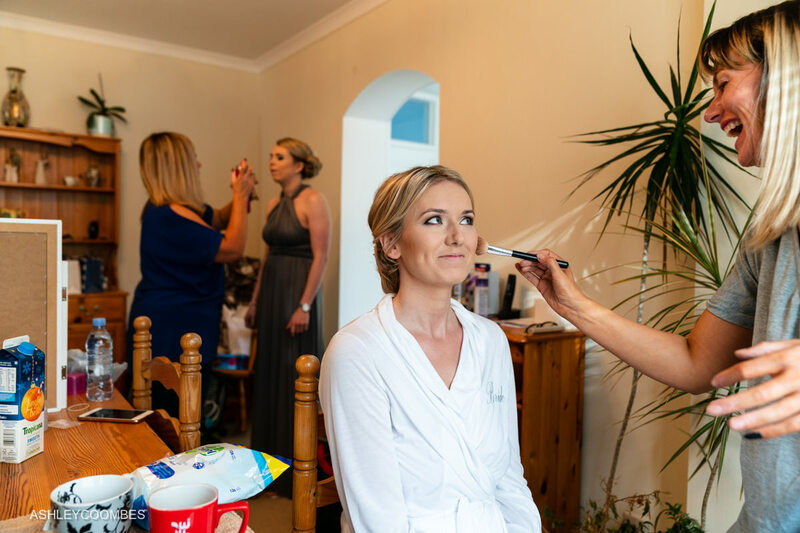 If you are thinking about booking me as your Cornhill Castle wedding photographer, please don’t hesitate to get in touch to chat through your plans and see if I have your date free. 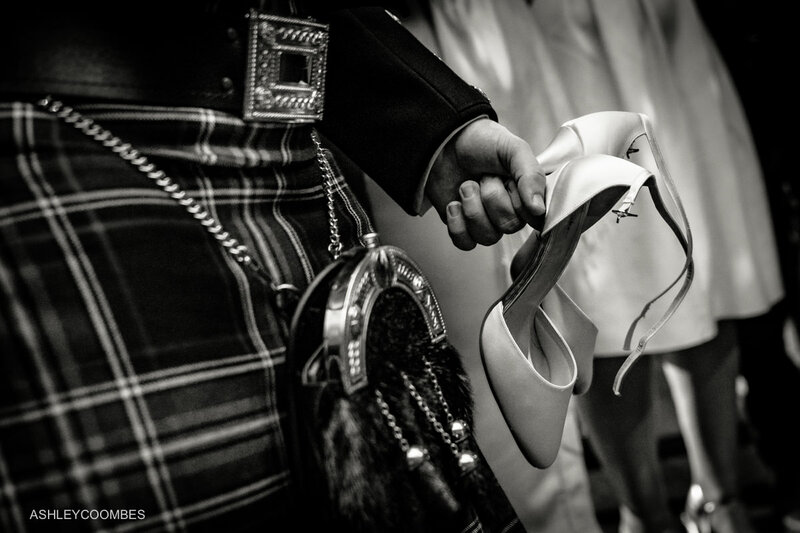 So what did you think of my photos as Stephanie & Craig's Cornhill Castle wedding photographer? 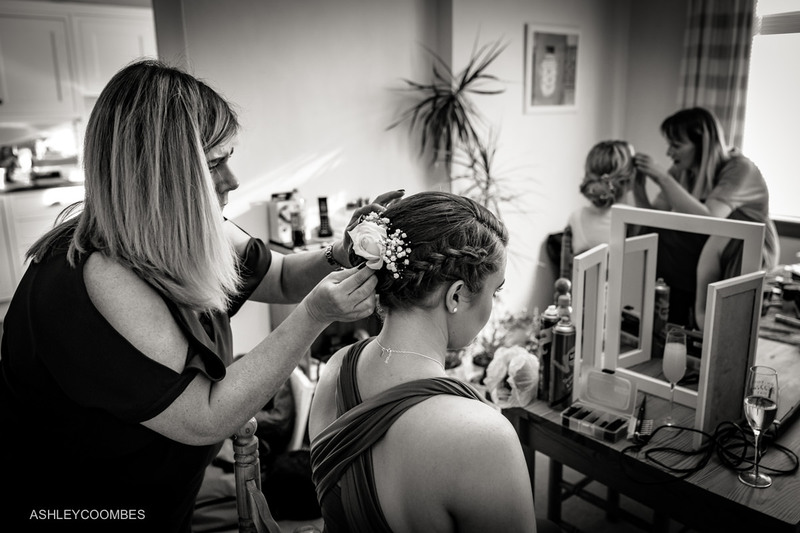 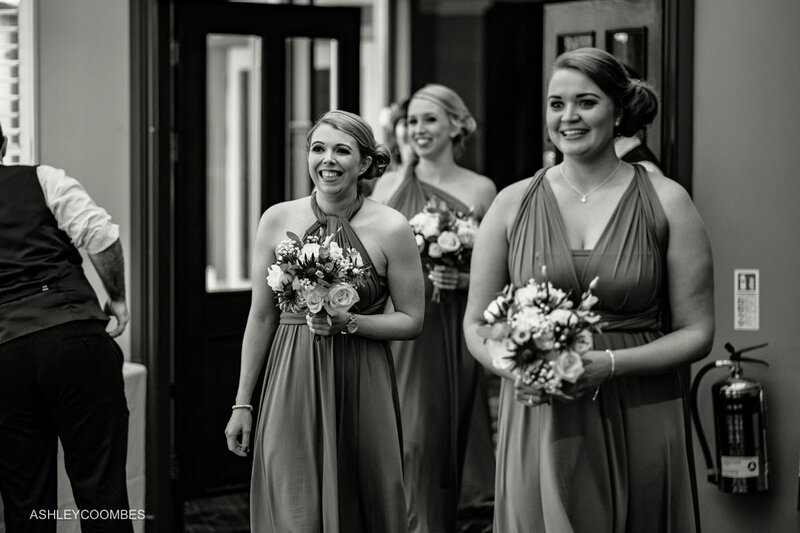 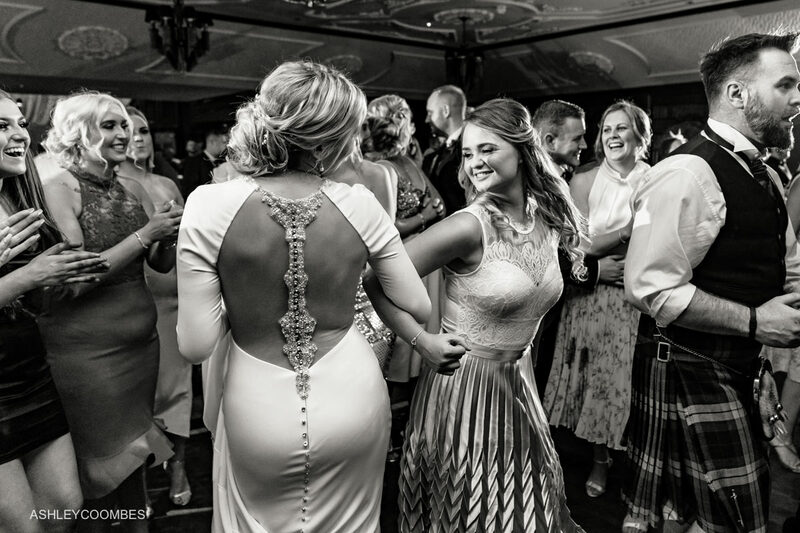 Maybe you’re looking for your own Cornhill Castle wedding photographer? 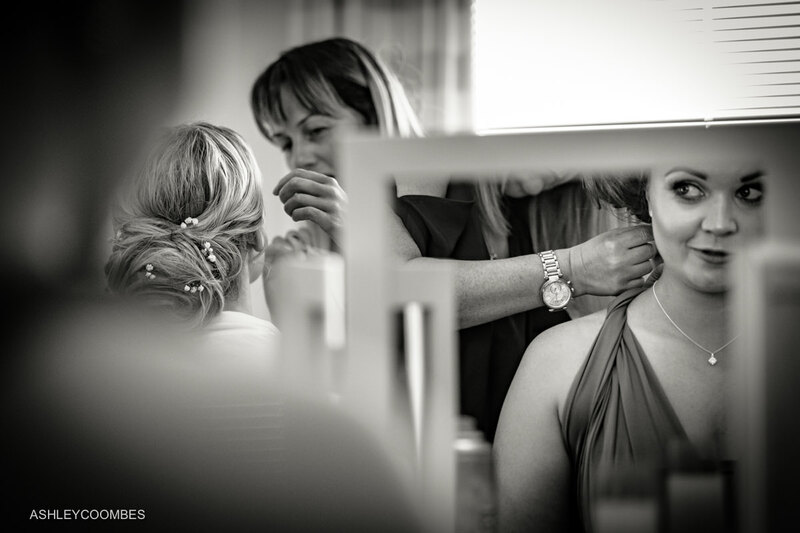 If so please don’t hesitate to contact me to discuss your wedding photography requirements. 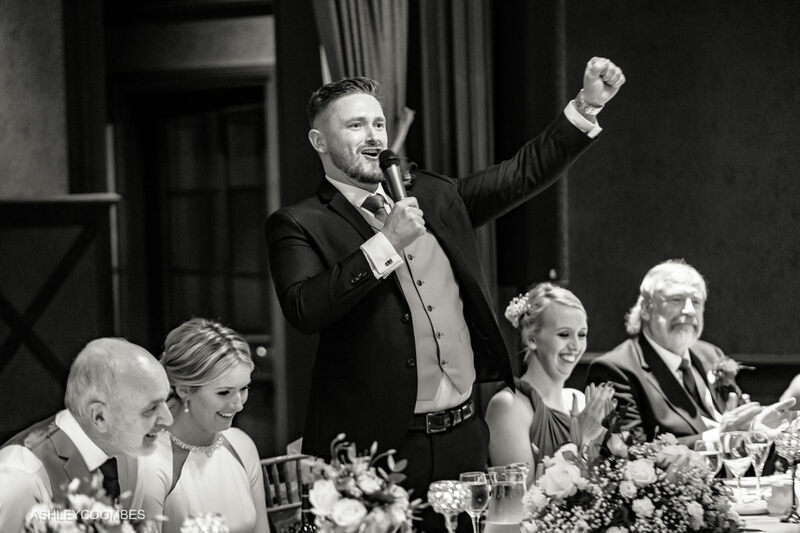 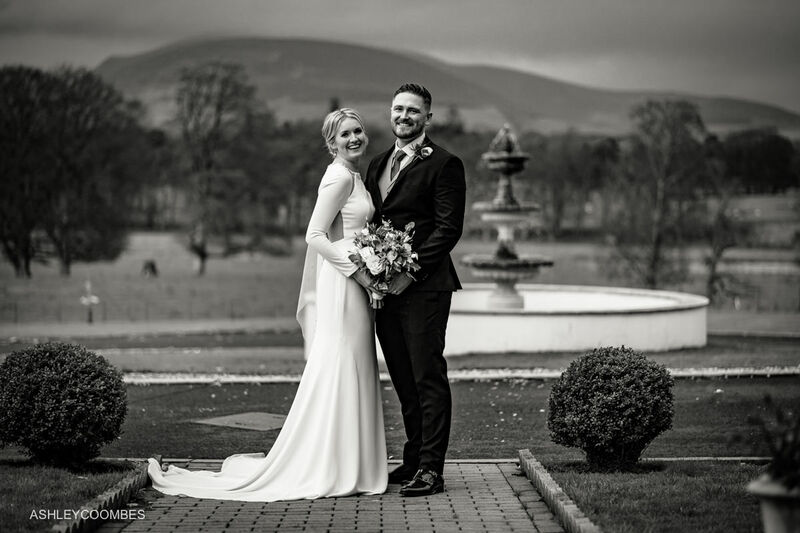 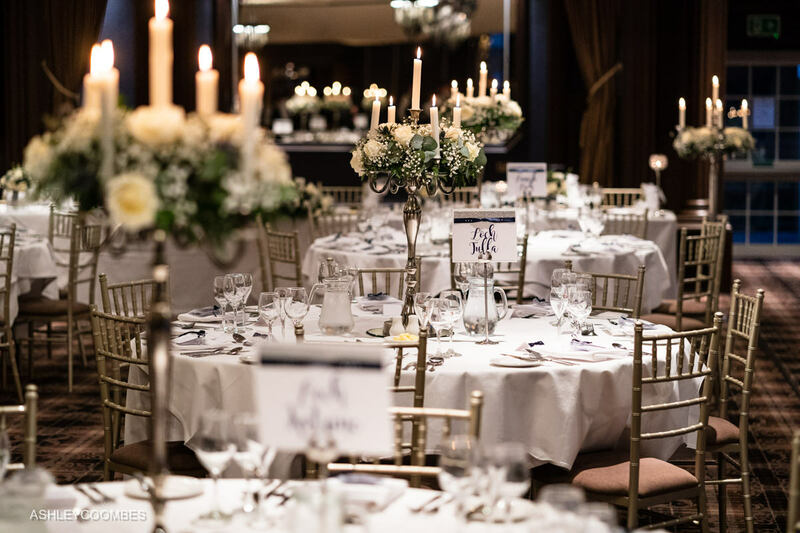 And a big shout out for some of the other great suppliers on this wedding….